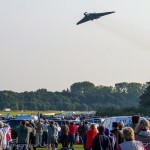 The season ending “Uncovered Airshow” at Old Warden became a very special event when it was announced that it would also be Avro Vulcan B2 XH558’s final public display. 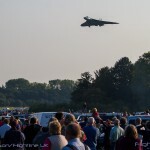 That brought a sell-out crowd to Old Warden who not only enjoyed the Vulcan, but perhaps one of the most varied and special Shuttleworth Collection air displays of recent years. 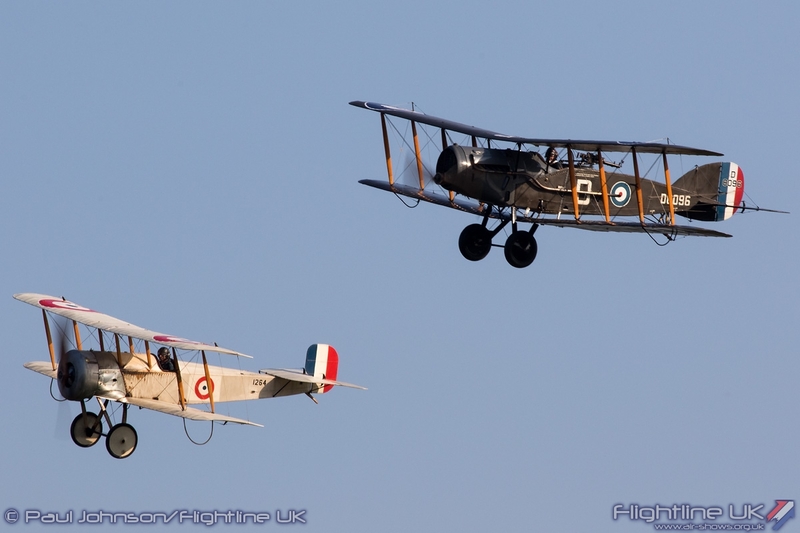 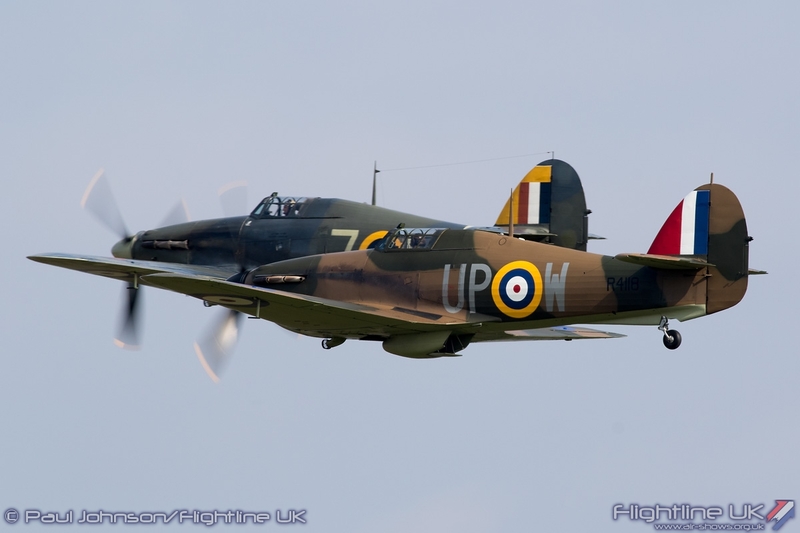 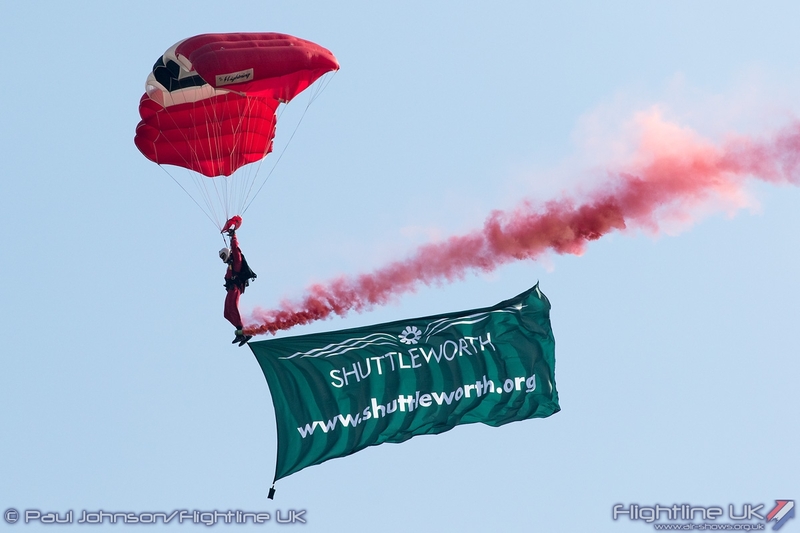 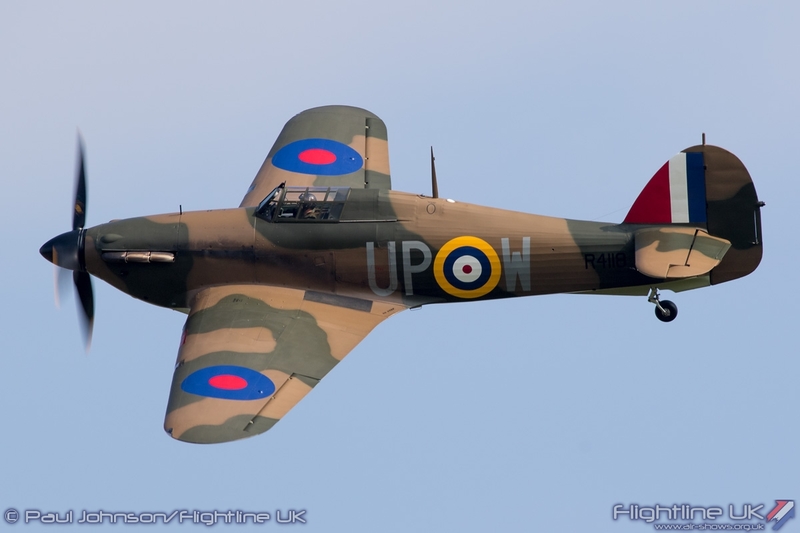 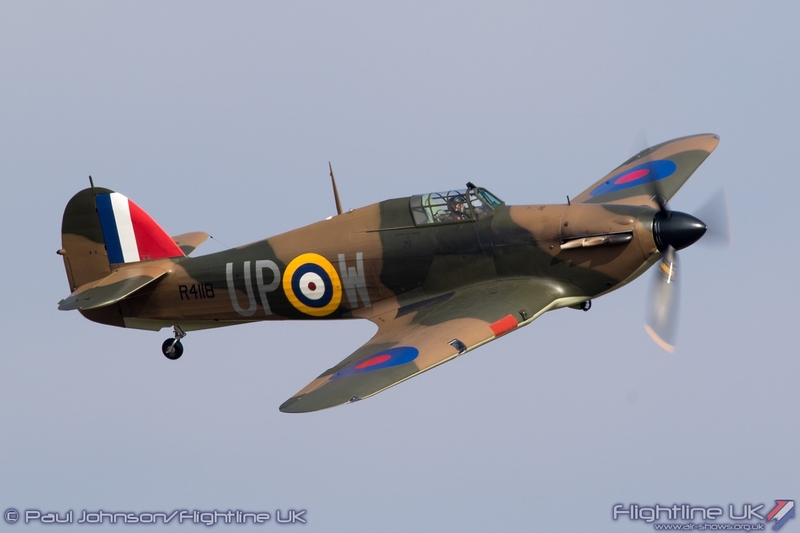 The Shuttleworth Collection’s season finale, the ‘Uncovered’ Airshow was the last major UK airshow of 2015. 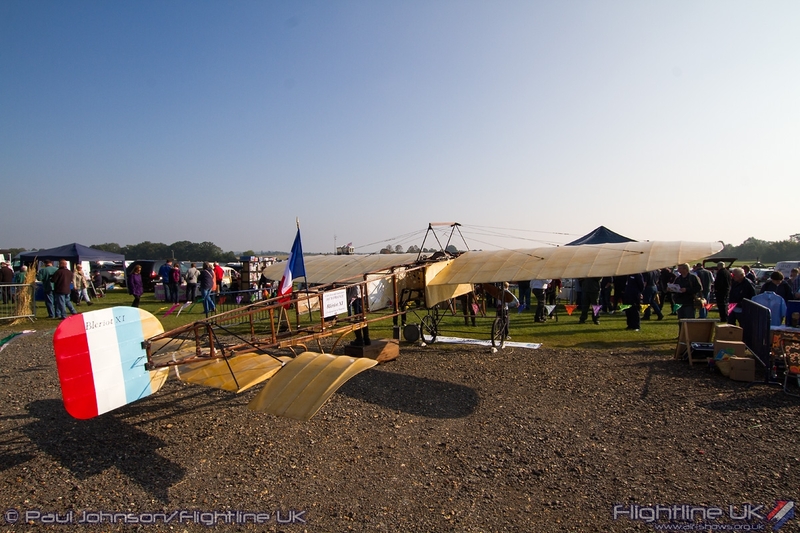 The ‘Uncovered’ events are usually slightly different from other Shuttleworth shows as they give the public a close up look at many of the Shuttleworth Collection’s fleet of unique vintage aircraft and vehicles. 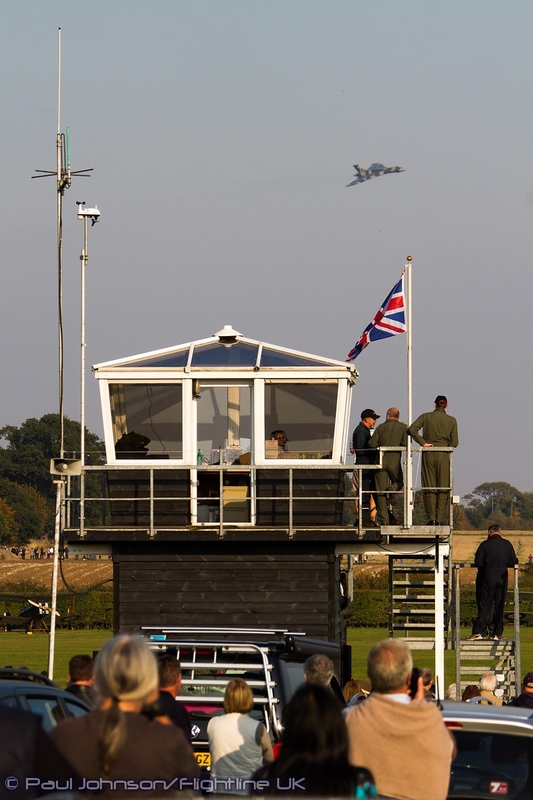 In previous years they have done this by transforming the traditional car parking areas into a paddock area for a number of the collection’s machines to be displayed to the public. 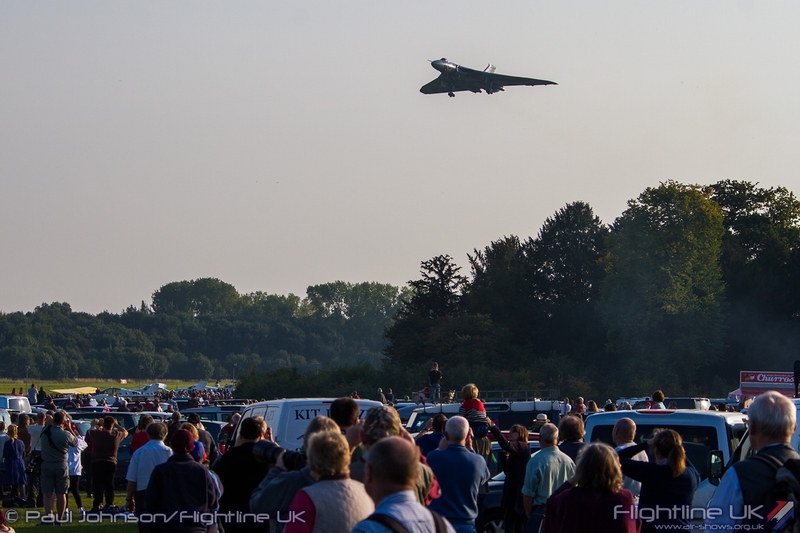 However, with the massive sell-out crowd, the Collection made use of the normal aircraft parking which was opened up allowing close inspection of many of the participating aircraft. 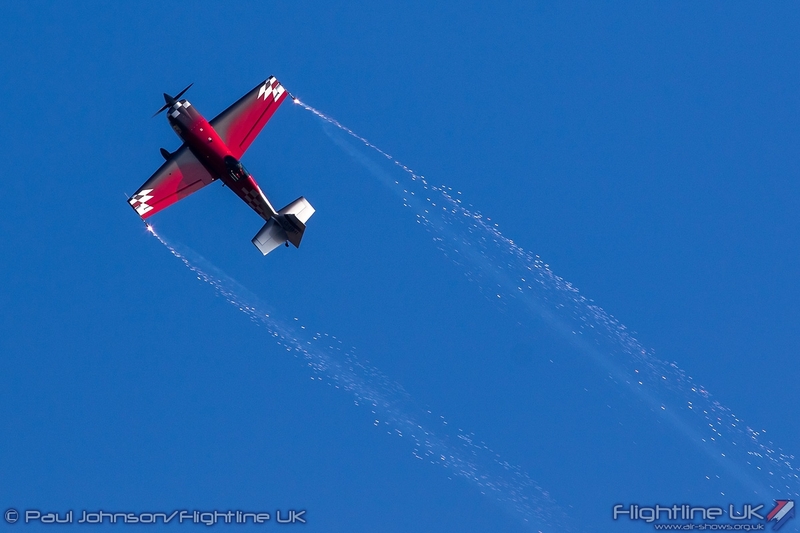 The weather could not have been much better for the final show of the year with crisp blue skies, golden autumnal sunshine and very light winds throughout the day. 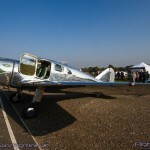 Unusually, there were a number of visiting aircraft on static display. 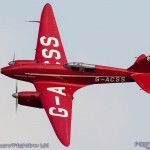 These included Rich Goodwin’s Pitts S-2S Special, a Spartan 7W Executive from Little Gransden, Pete Kynsey’s Le Vier Cosmic Wind and an Aviat Husky amphibian G-WATR flown in by Anna Walker. 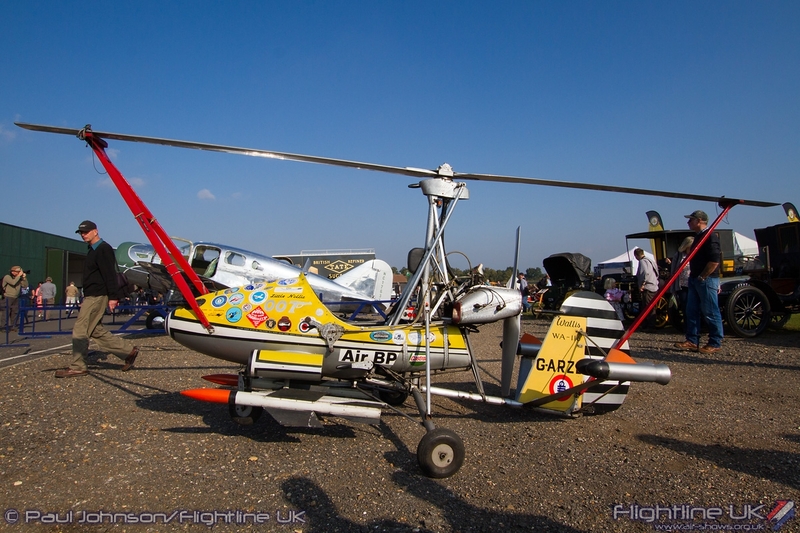 2015 sees the release of the latest instalment in the 007 James Bond franchise so it was very timely too see the Little Nellie Autogyro created for “You Only Live Twice” by the late Sir Ken Wallis. 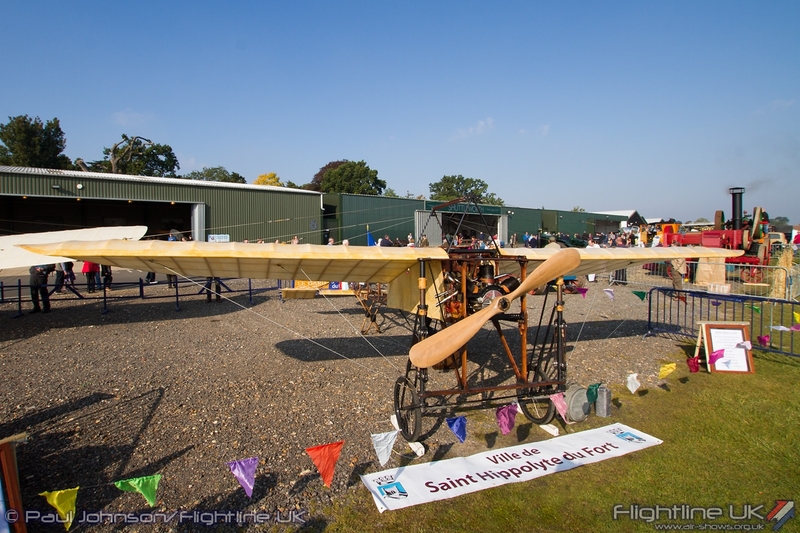 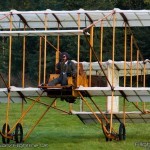 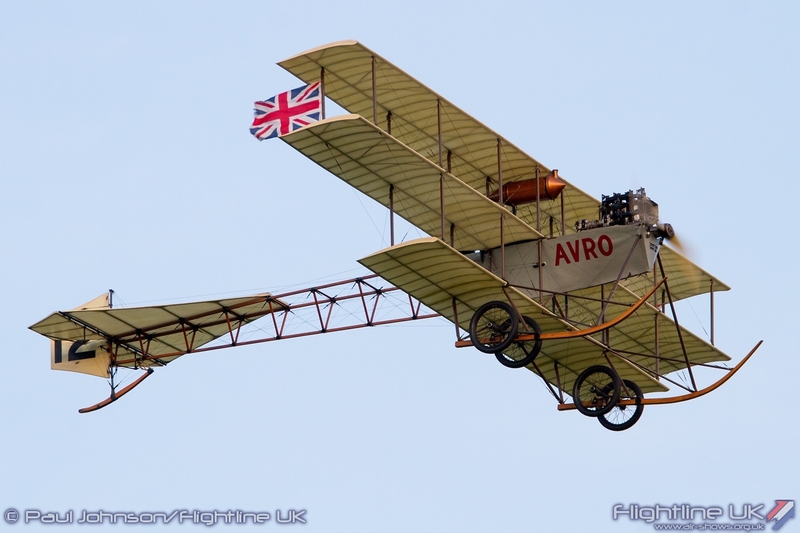 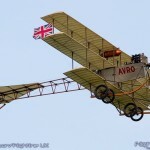 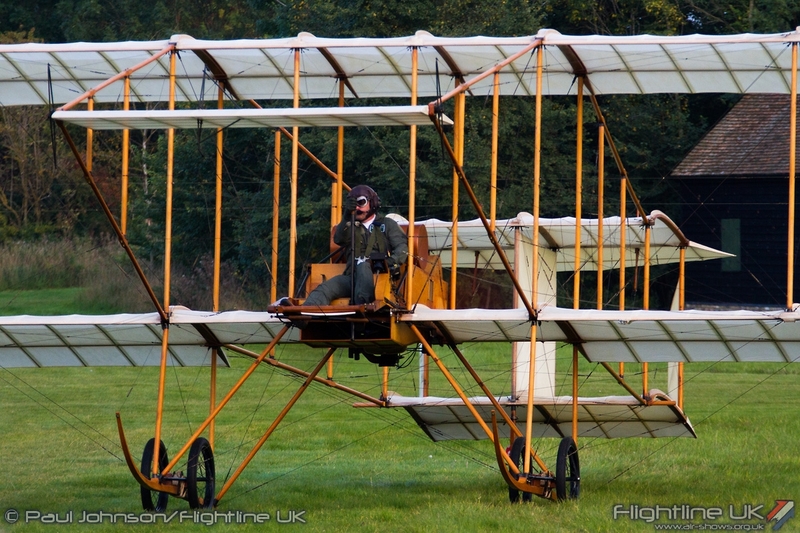 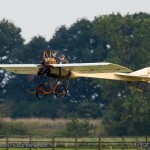 There was also a rare international visitor with a Bleriot XI replica from the French town Saint-Hippolyte-du-Fort. 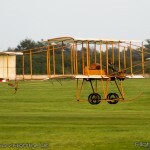 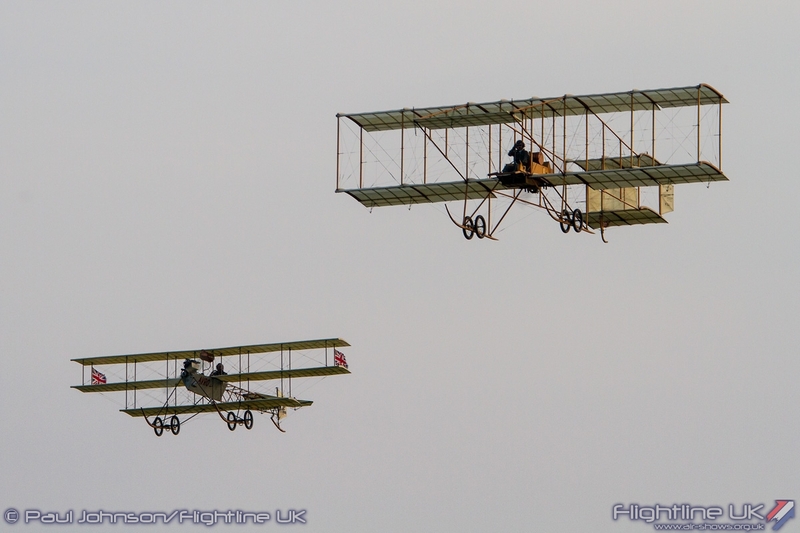 The town has a fascinating aviation history which started with the first airshows held in 1912,1913 and 1914. 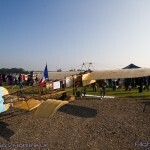 These pioneering events were organised by lcoals led by lawyer Ele Coularou. 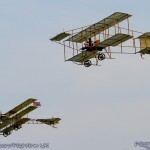 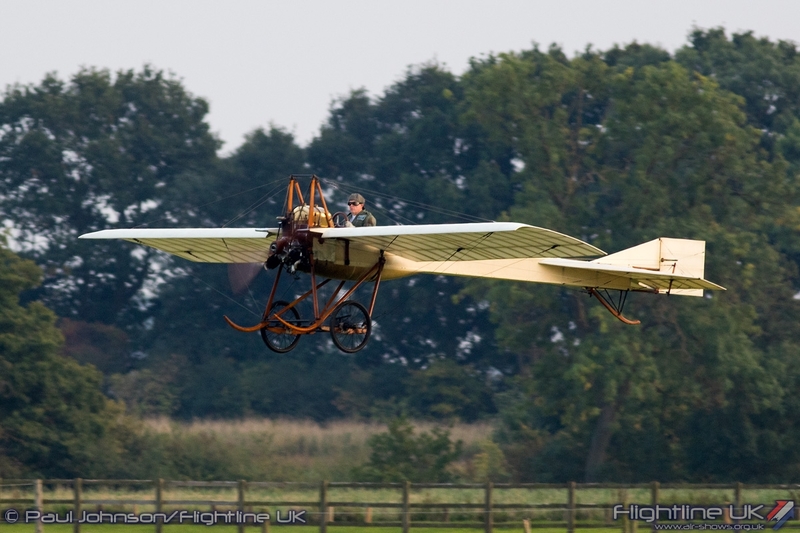 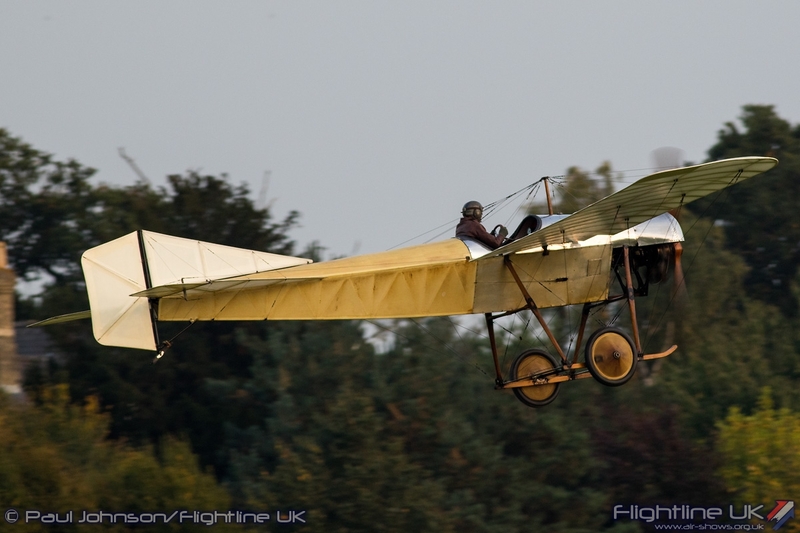 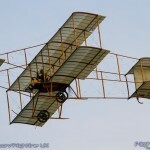 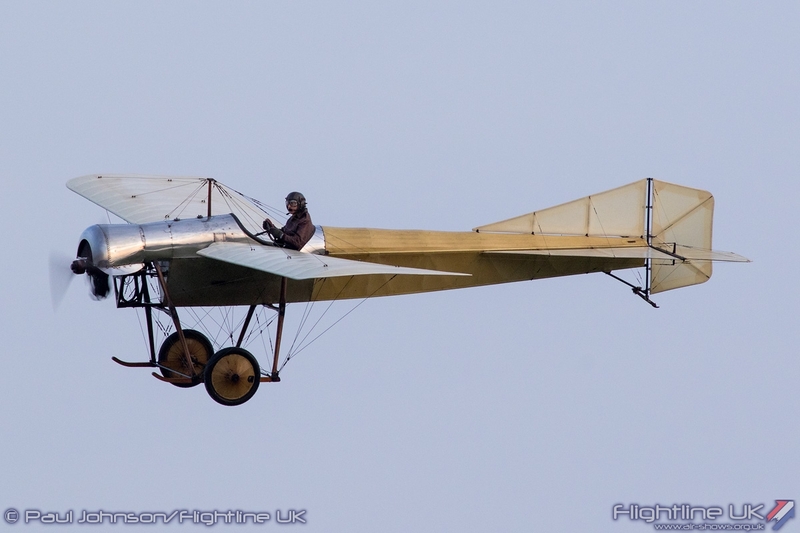 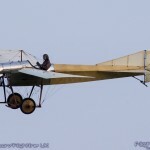 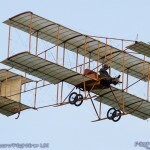 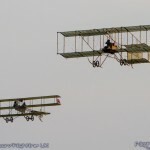 To celebrate the 100th Anniversary of these events Elie’s grandson Pascal Coularou led a project to build a Bleriot XI replica. 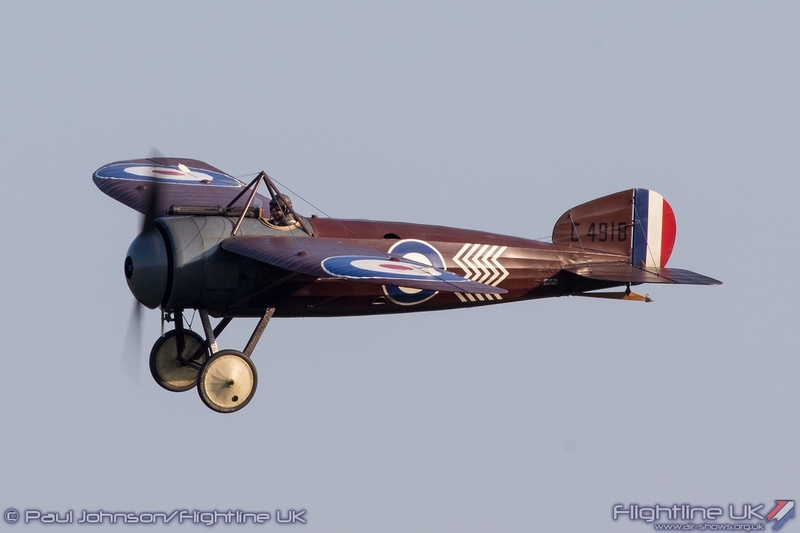 The aircraft was completed at Club Aero des Garrigues and is correct in every detail. 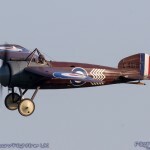 The aircraft has been exhibited across France and Belgium. 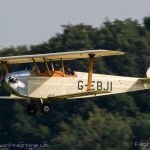 Its appearance at Old Warden marked the replica’s first appearance in the UK. 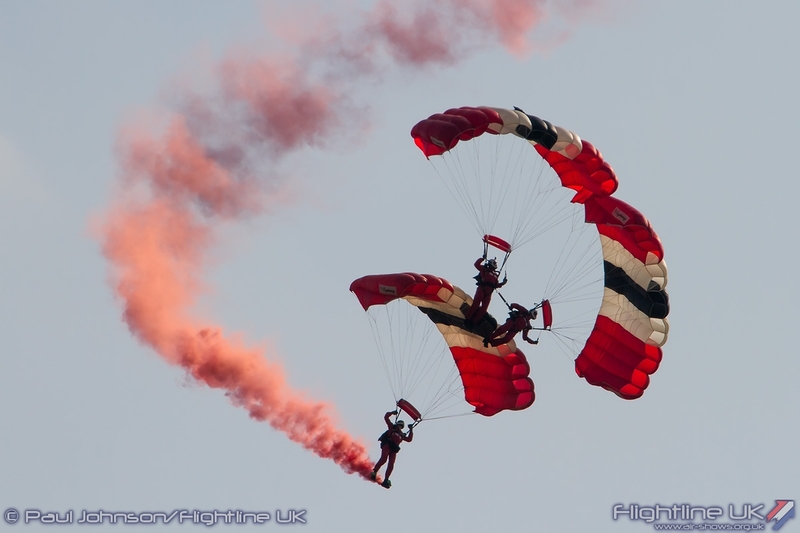 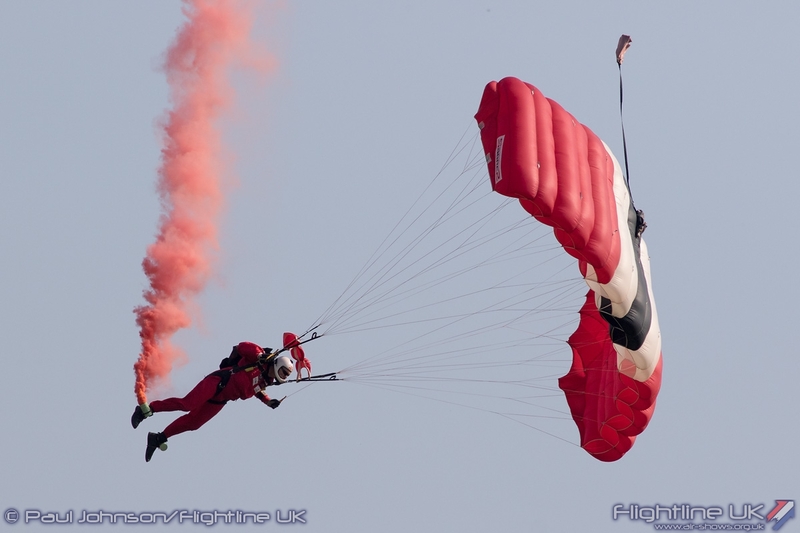 The afternoon flying displays were opened by an unusual visiting act to Old Warden, the Parachute Regiment’s Red Devils Parachute Display Team. 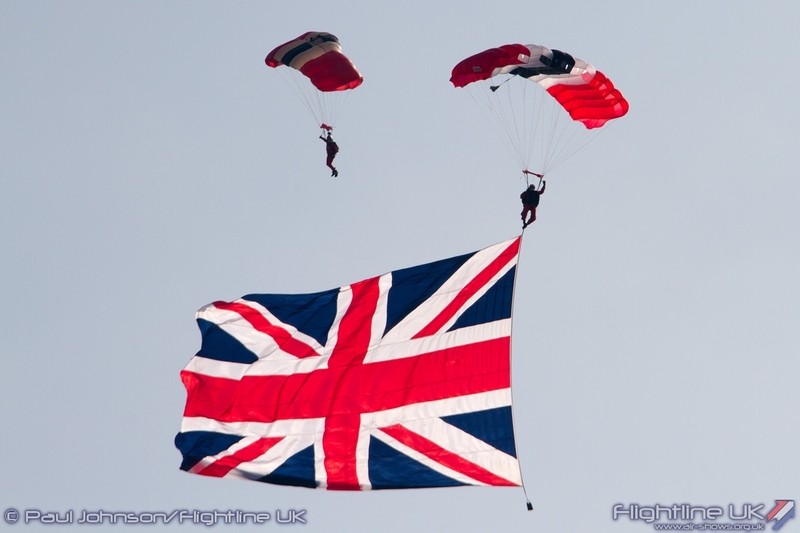 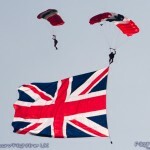 The team made good use of the good weather presenting some great canopy work and one of their huge Union Flags. 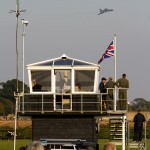 Their display was dedicated to General Manager of the Collection, Una Watts who retires at the end of the year. 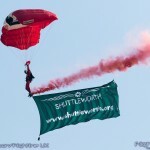 At the end of the Red Devils displays, she was presented with the Shuttleworth Collection flag flown in by the team. 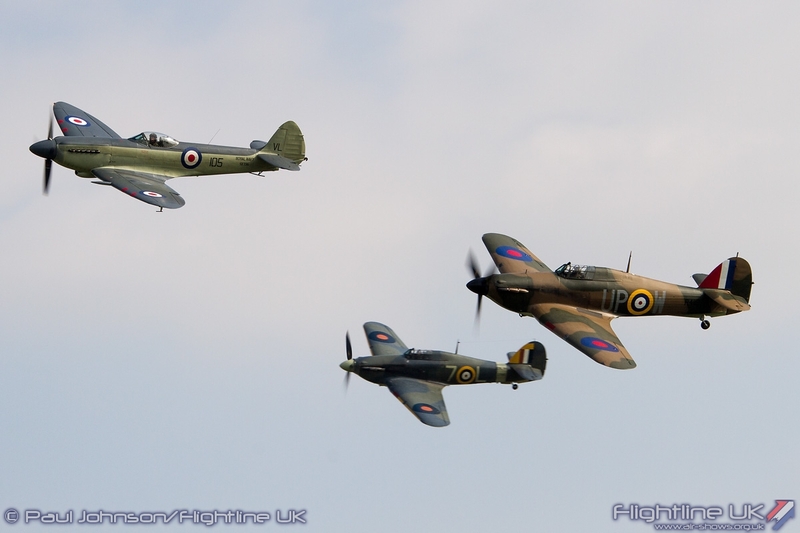 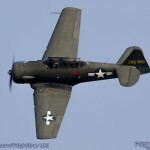 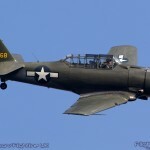 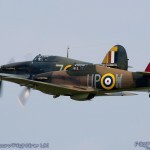 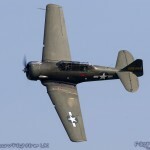 The first aircraft displays saw a wonderful gathering of warbirds. 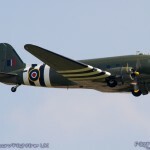 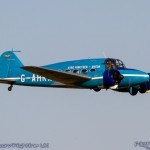 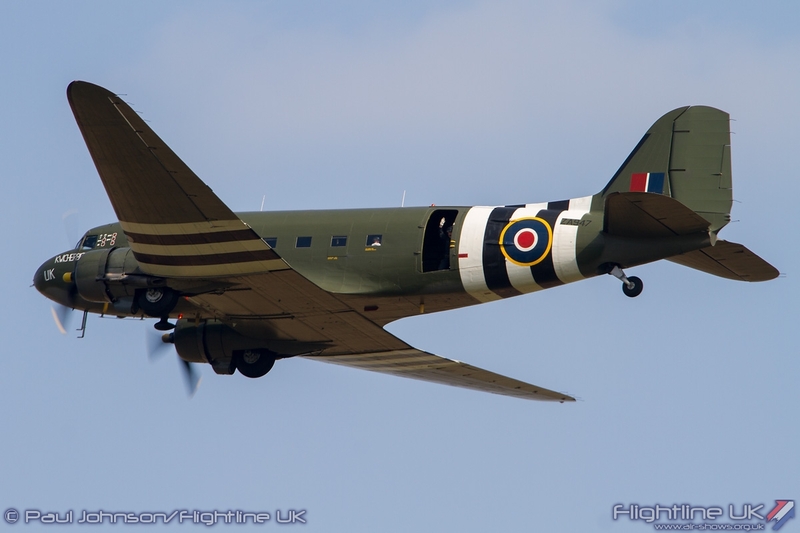 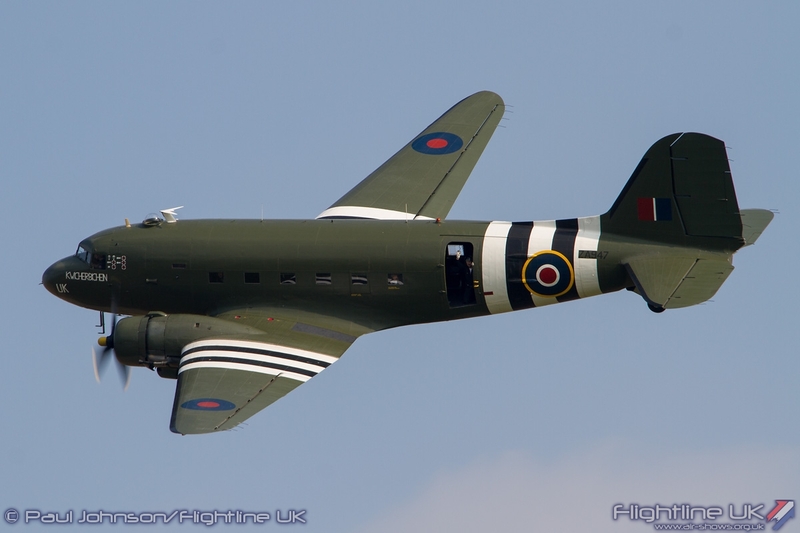 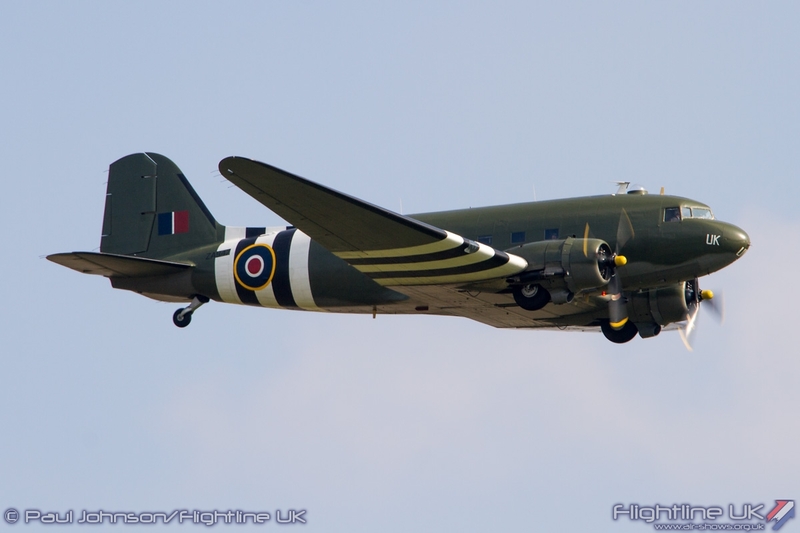 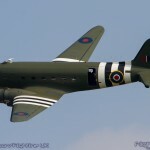 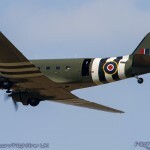 Continuing the participation of the modern day military, the Royal Air Force Battle of Britain Memorial Flight’s Douglas Dakota III made a number of flypasts over the aerodrome. 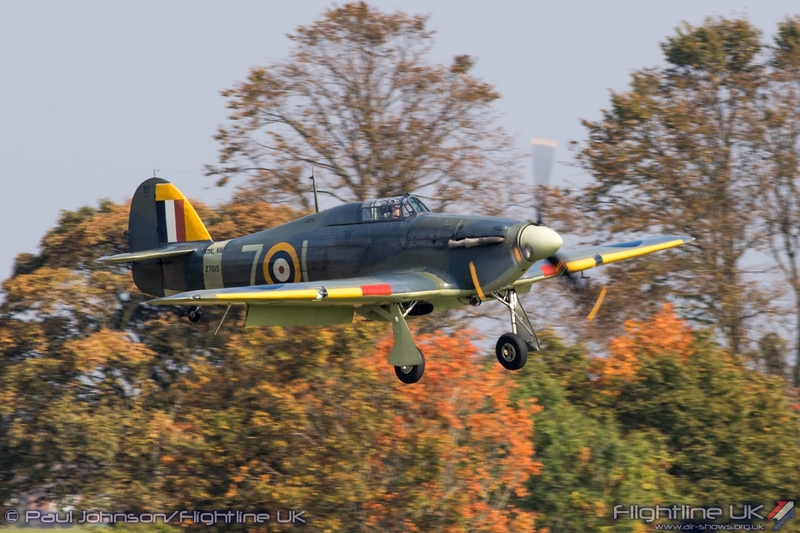 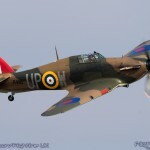 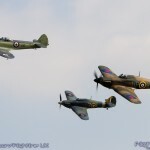 The first full displays of the afternoon saw The Collection’s Sea Hurricane Ib was joined by Kennet Aviation’s Supermarine Seafire XVII and Hawker Hurricane I R4118. 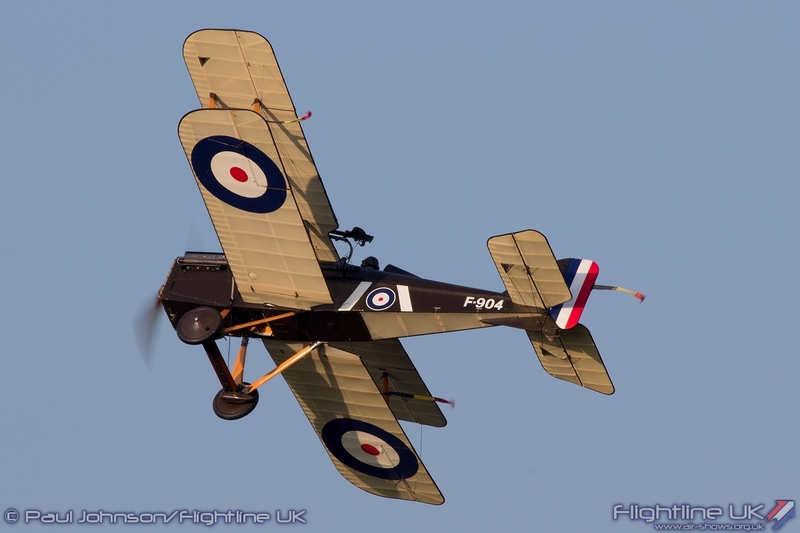 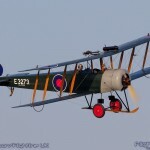 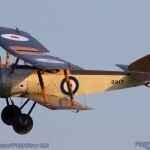 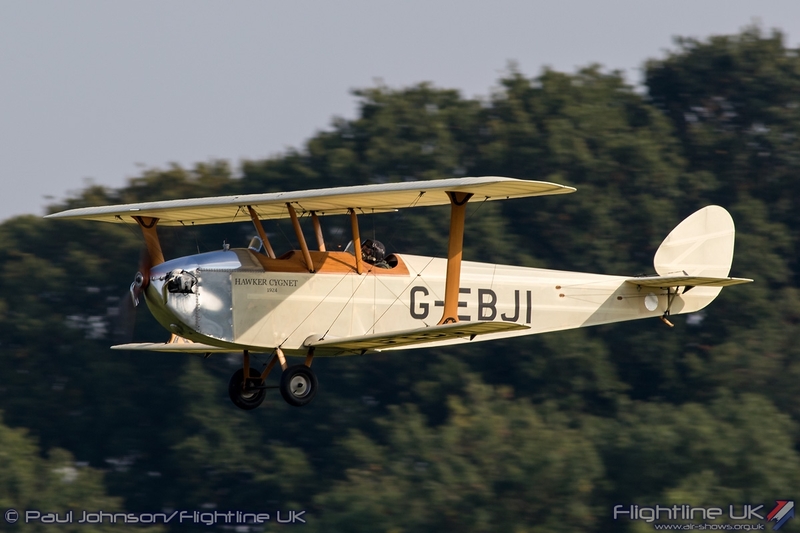 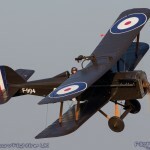 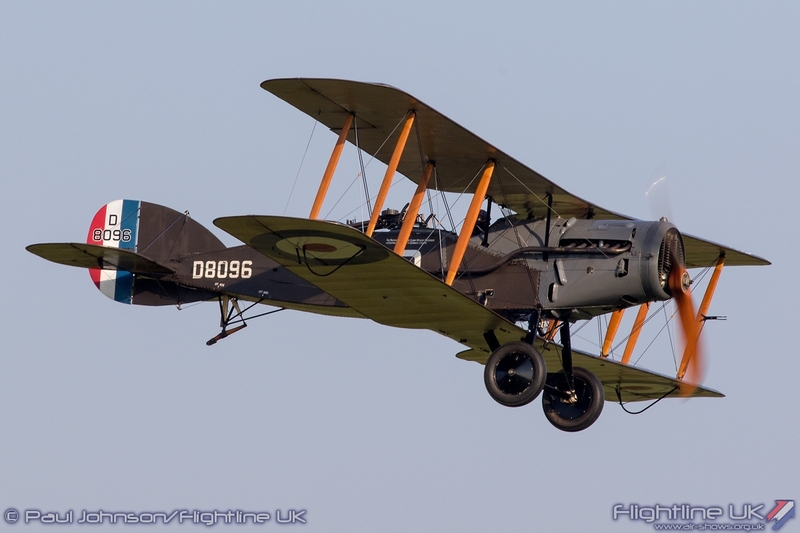 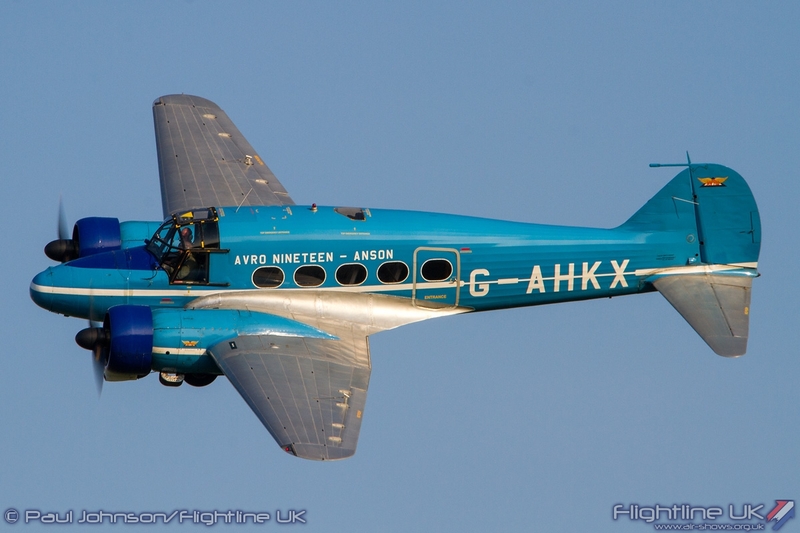 The inclusion of the latter was significant to Old Warden as it has been purchased by software engineer James Brown who has chosen to base his remarkable aircraft with the Shuttleworth Collection. 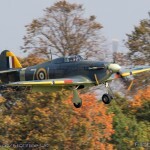 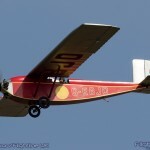 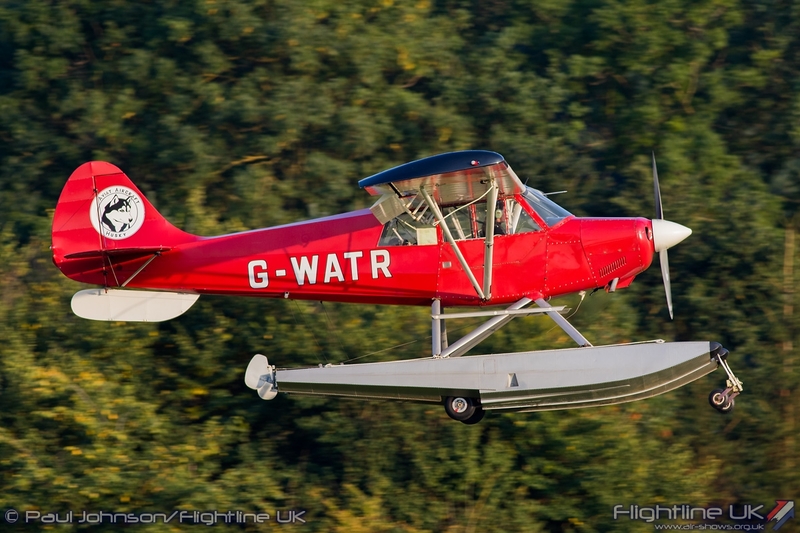 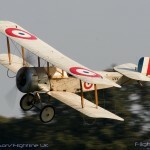 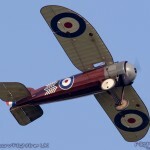 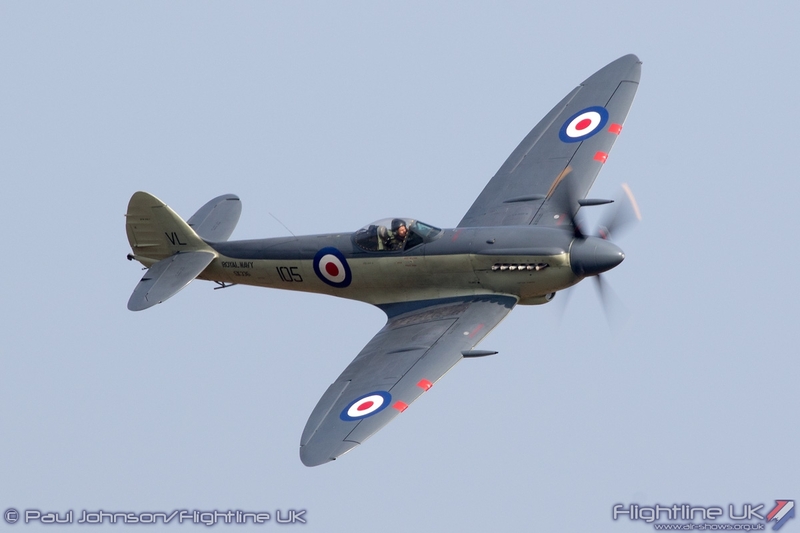 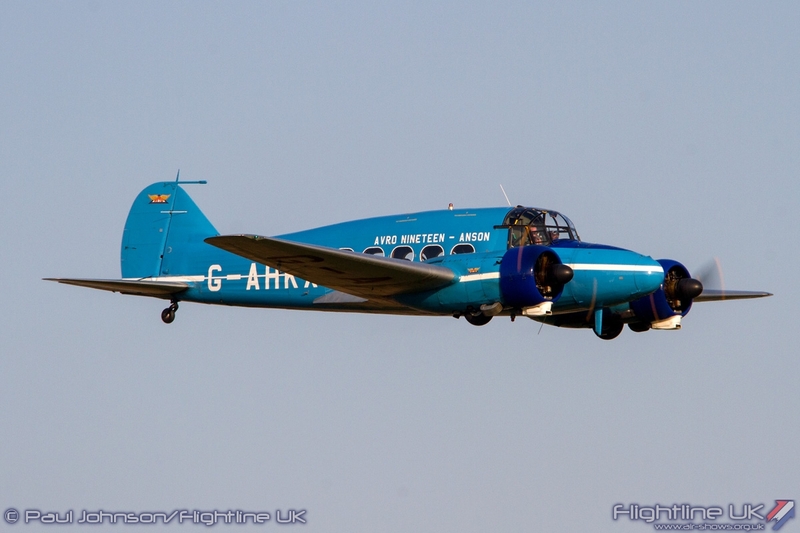 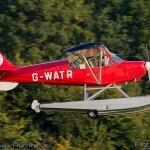 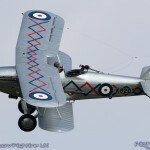 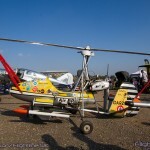 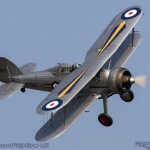 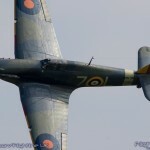 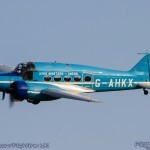 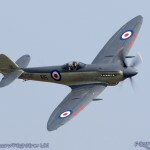 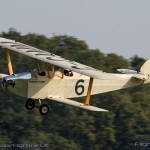 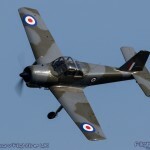 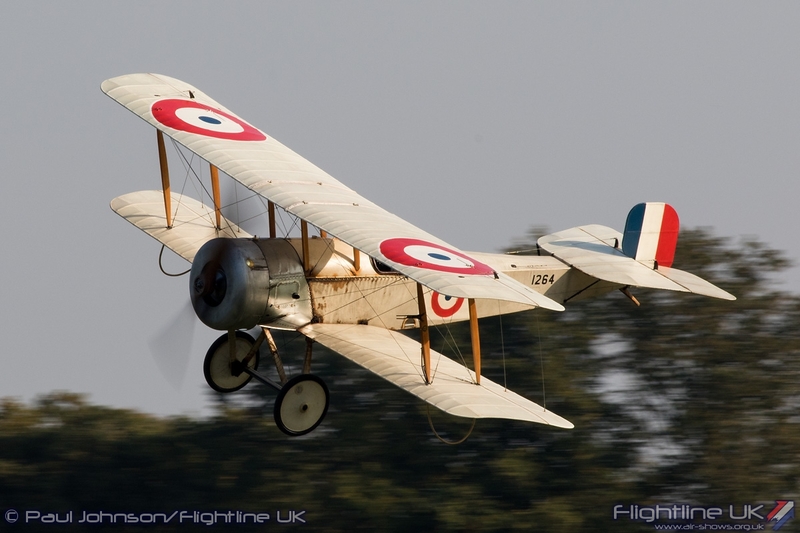 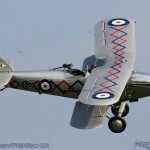 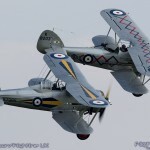 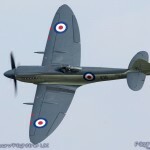 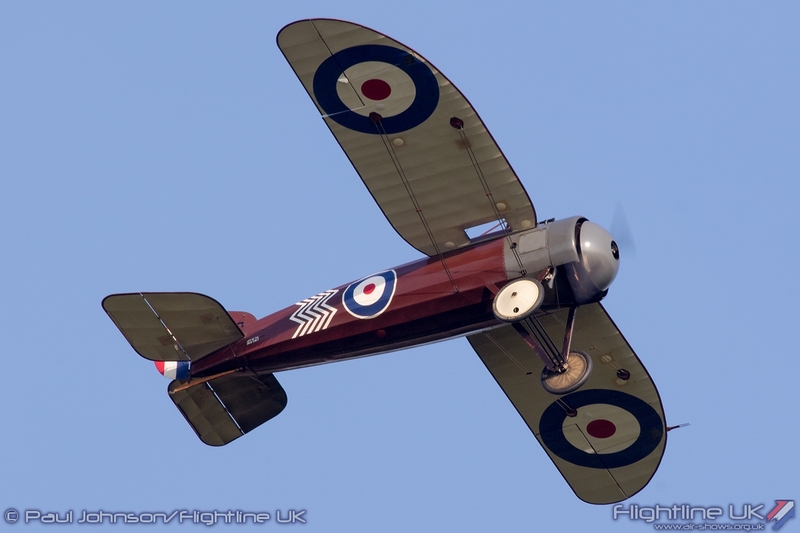 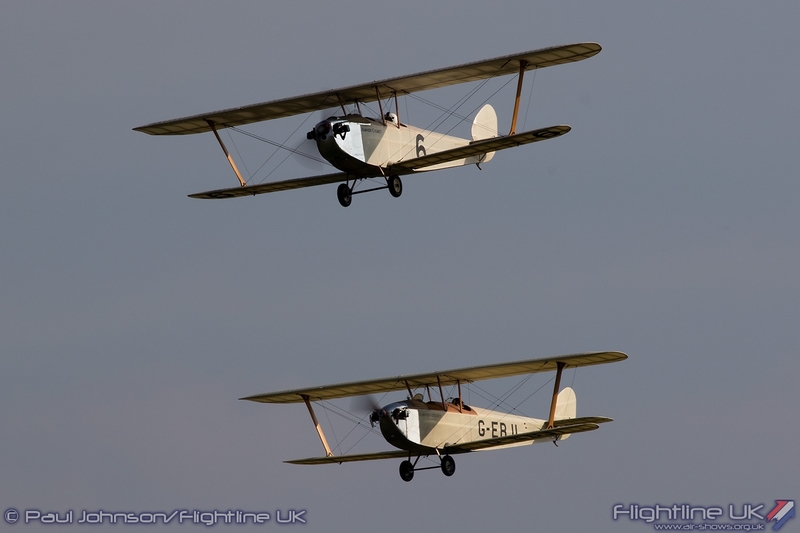 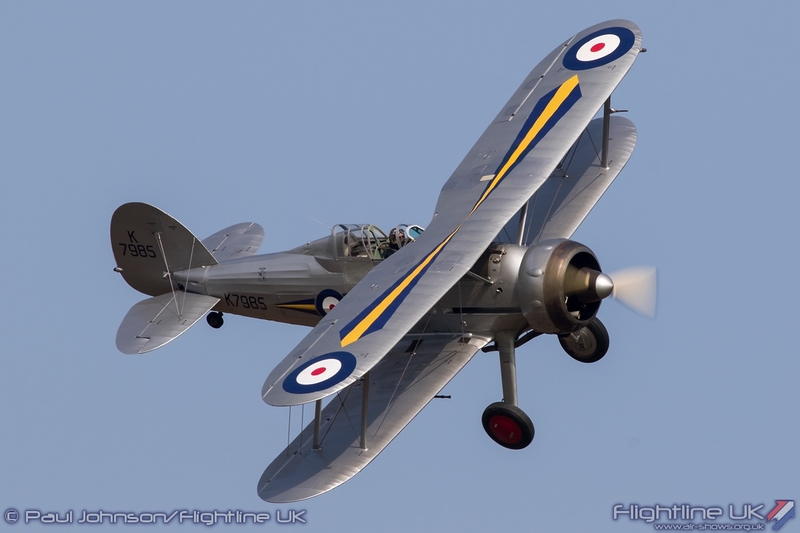 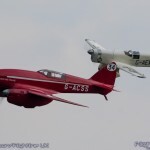 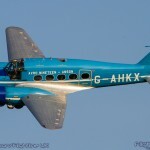 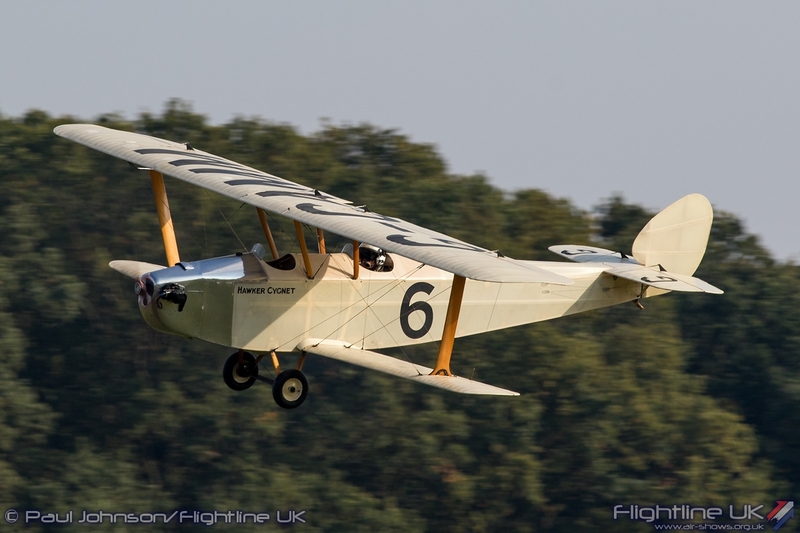 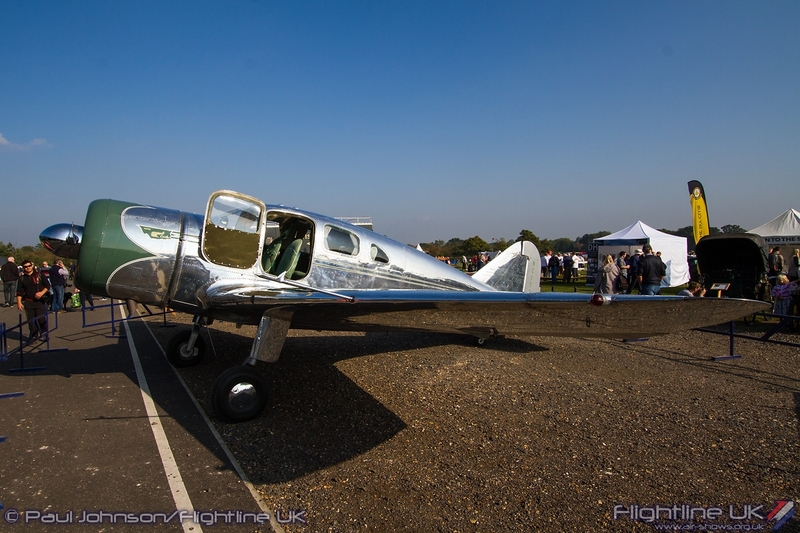 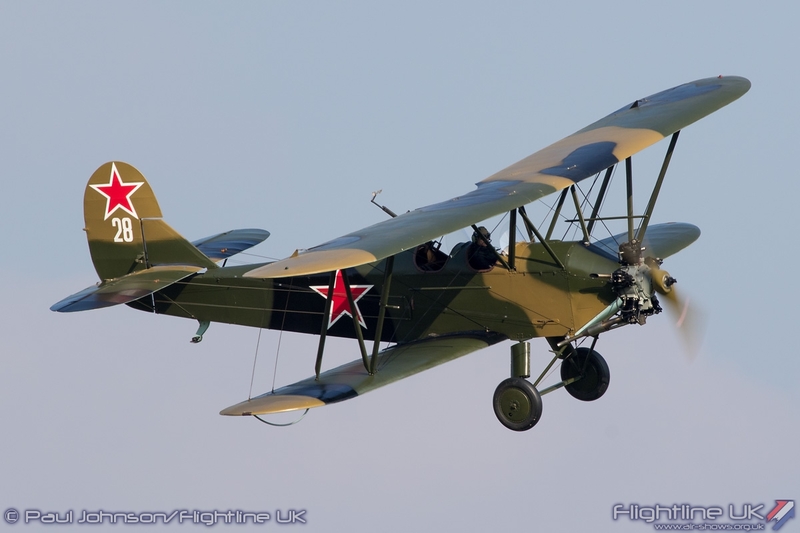 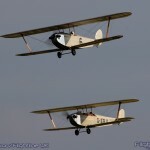 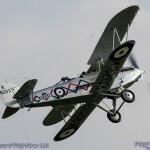 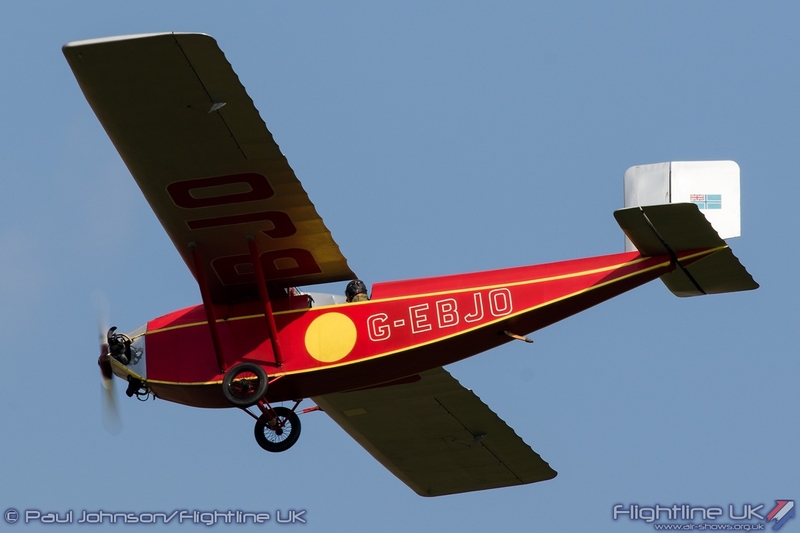 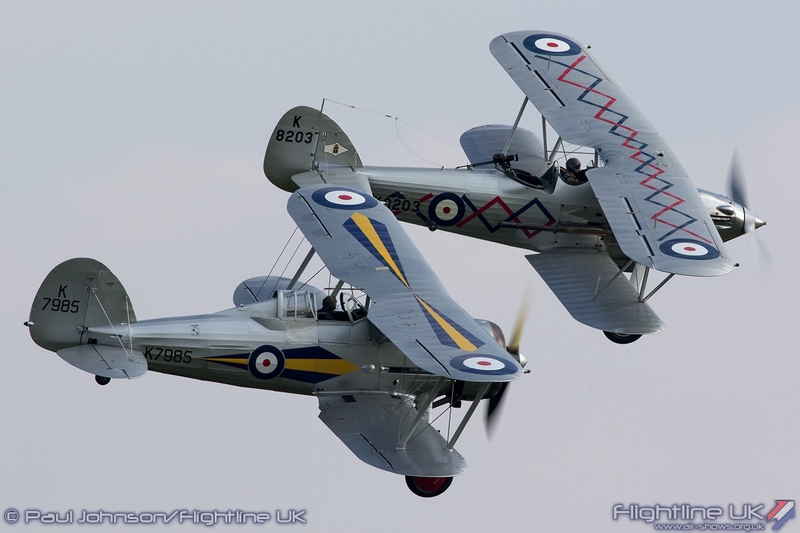 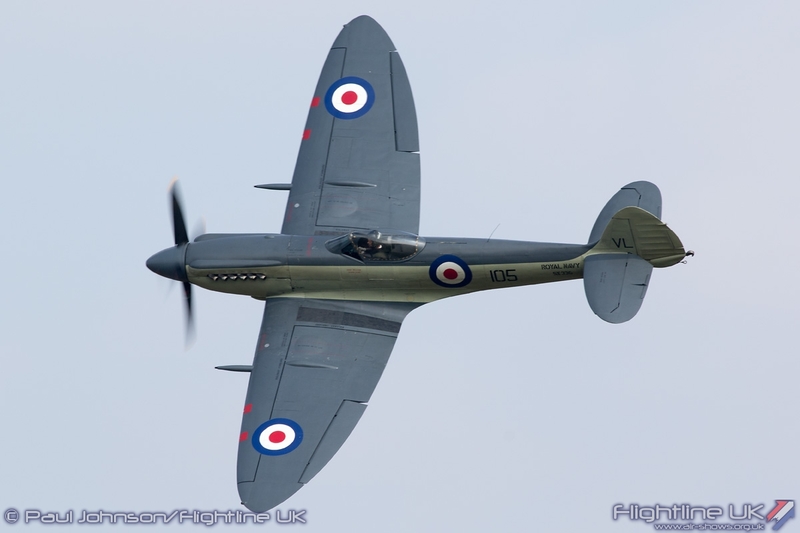 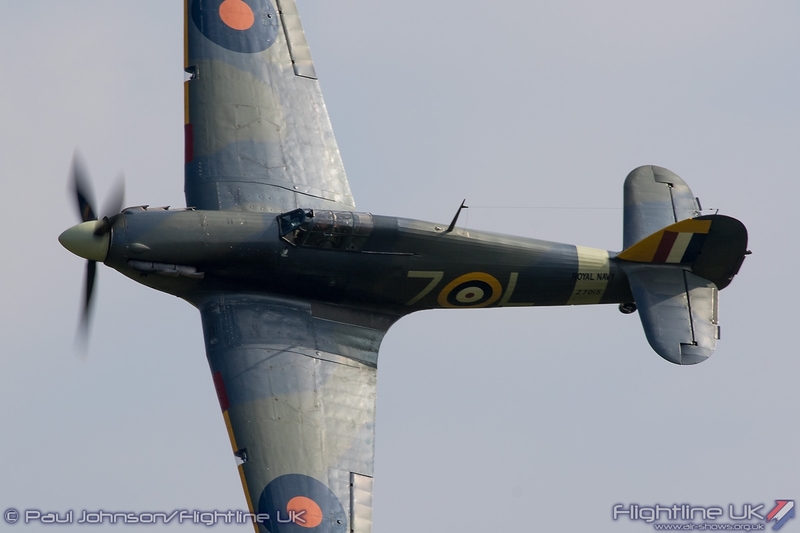 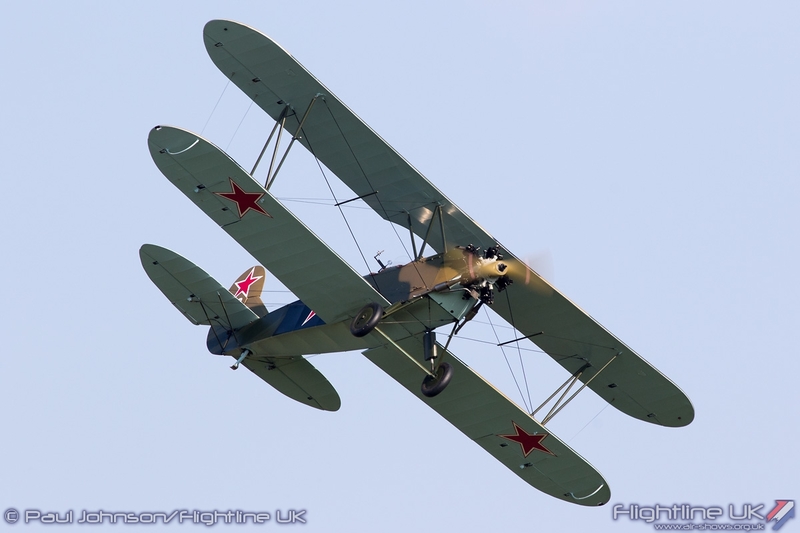 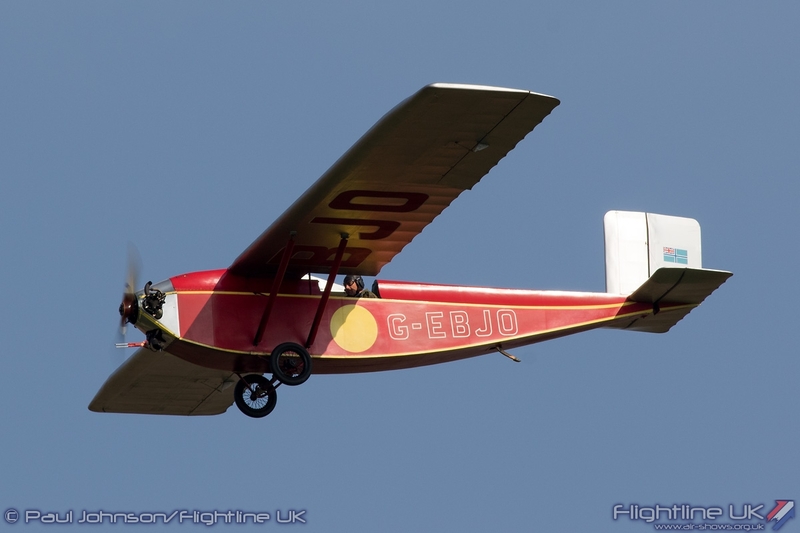 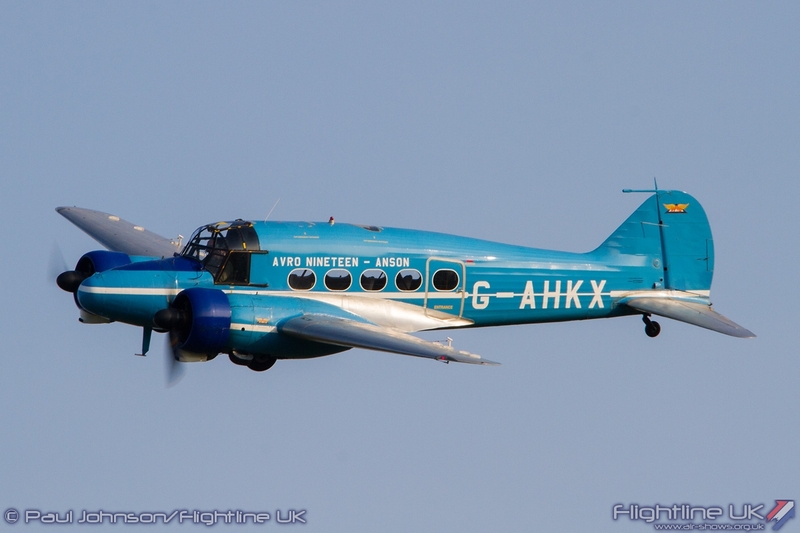 R4118 will become a regular sight at Shuttleworth shows as well as continuing to participate at many UK shows. 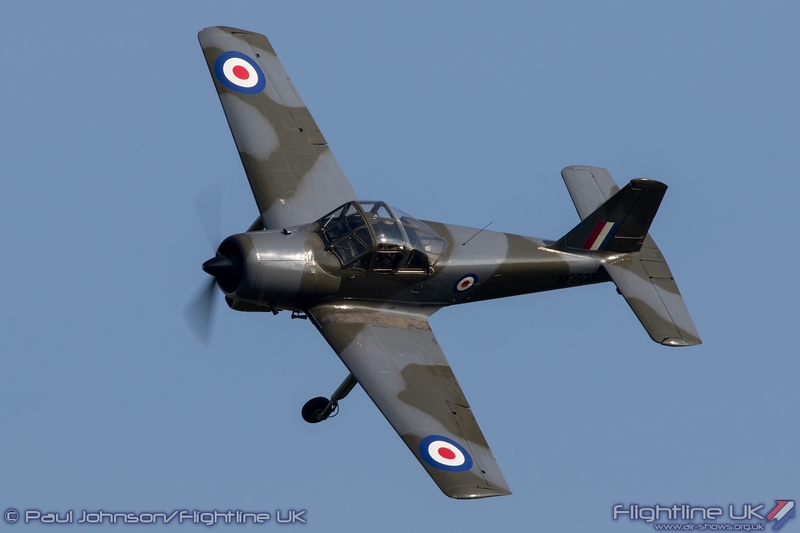 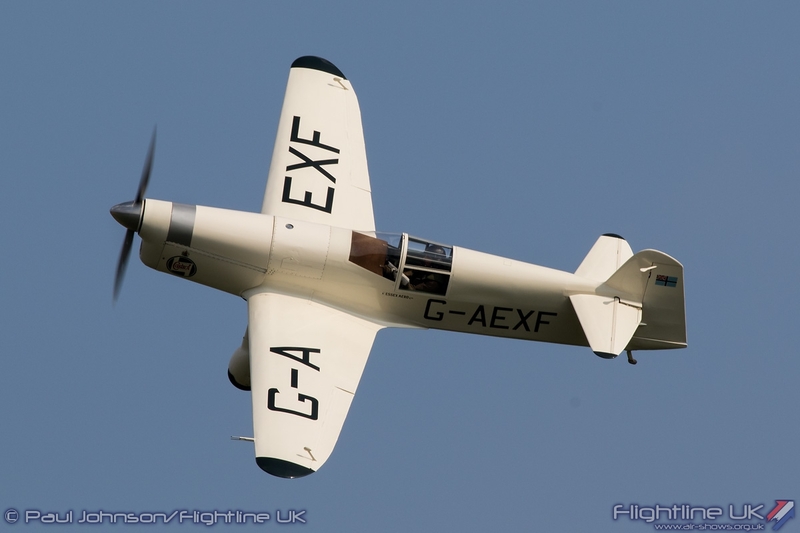 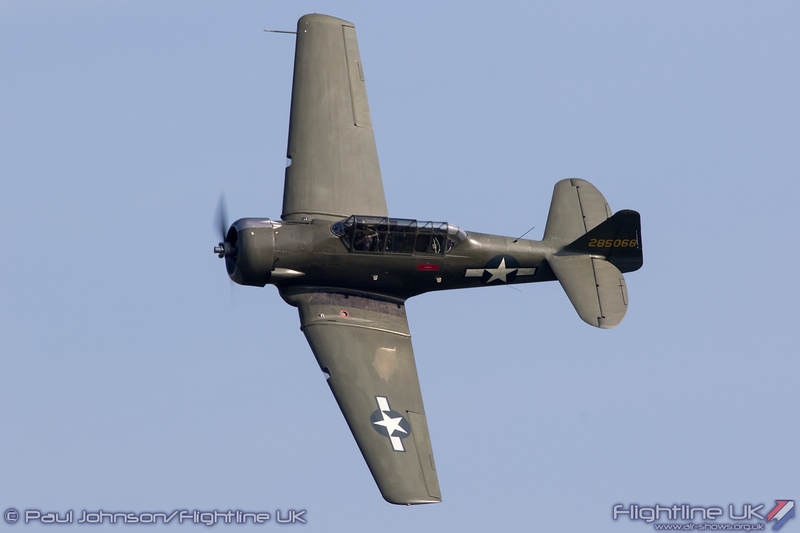 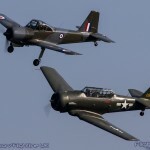 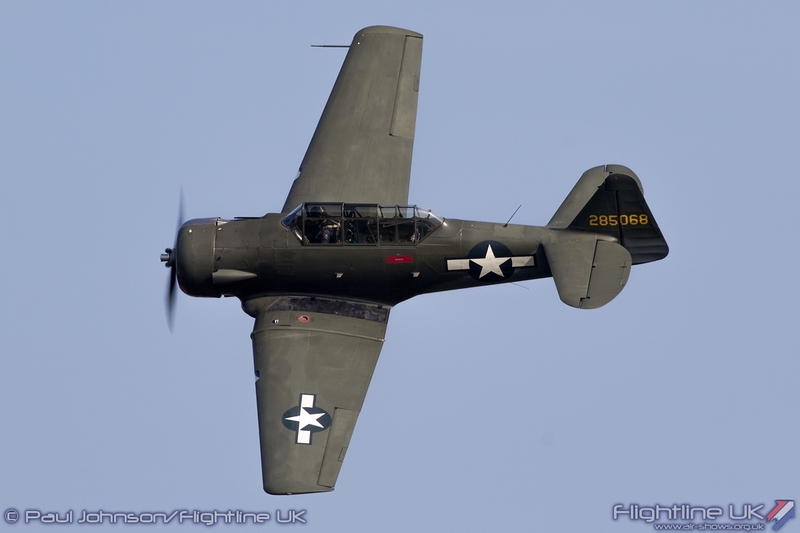 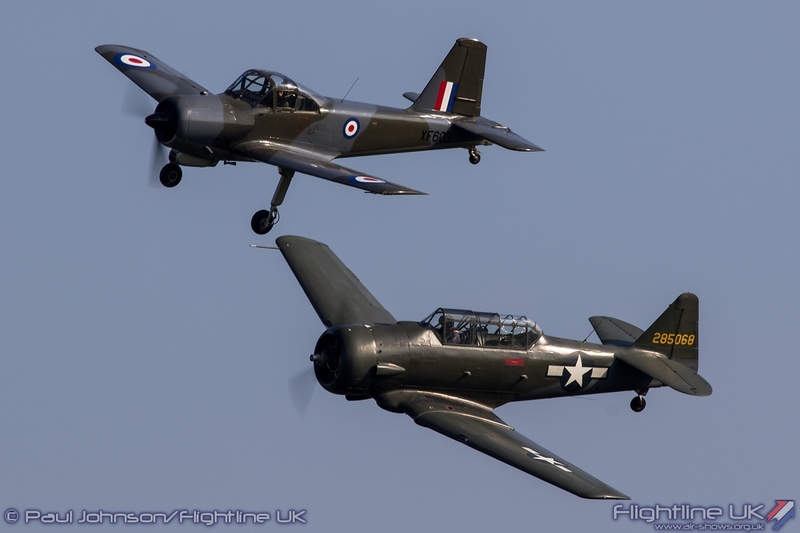 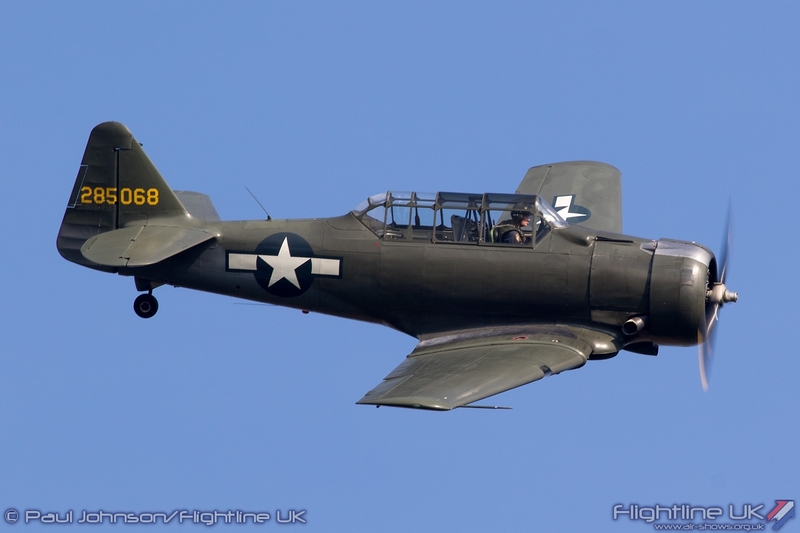 Later in the afternoon, the warbird theme continued with some significant 1940’s and 1950’s training aircraft with the home-based Polikarpov Po-2 and Percival Provost T52 joined by John Beattie flying Kennet Aviation’s North American T-6 Texan. 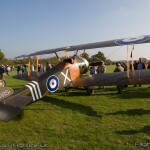 Old Warden aircraft naturally formed the bulk of the display. 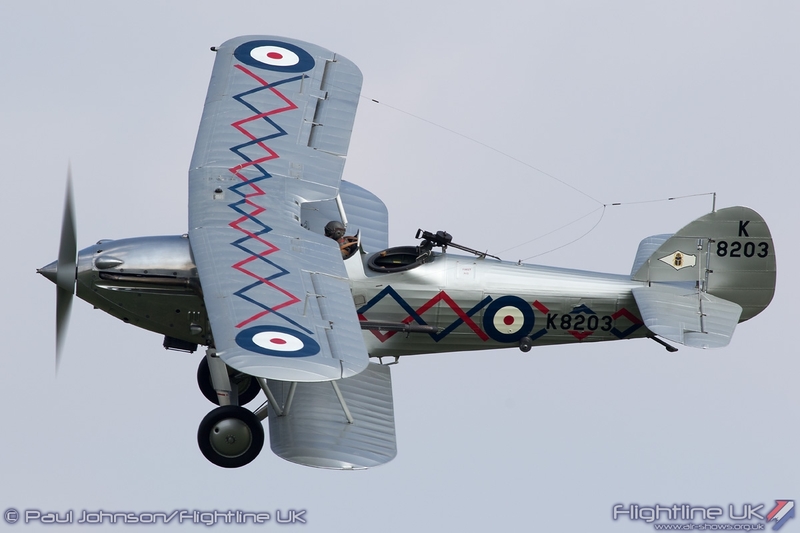 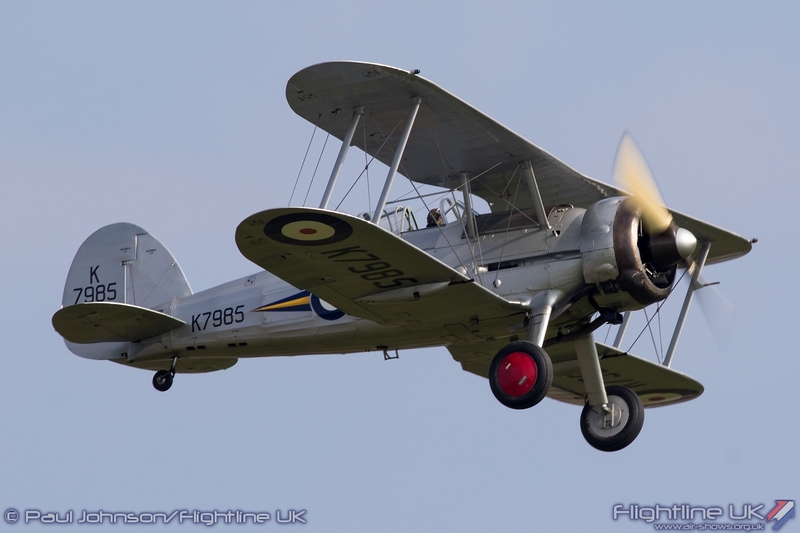 Old Warden is one of the very few places spectators can sample the delight 1930’s military aviation and the ‘Uncovered’ show saw a pairing of the Shuttleworth Gloster Gladiator with Demon Displays’ stunning Hawker Demon. 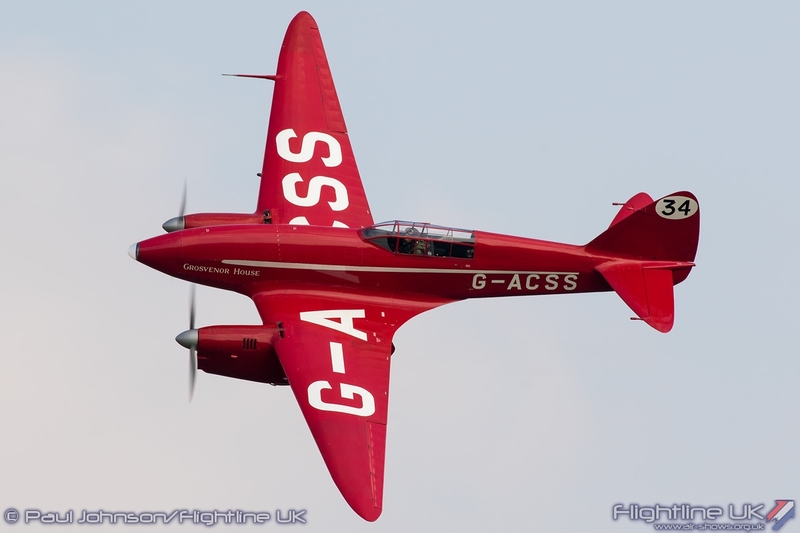 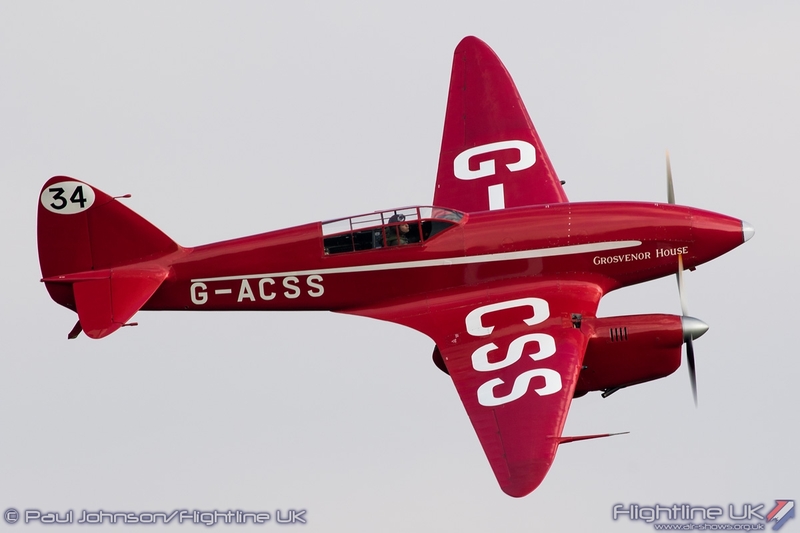 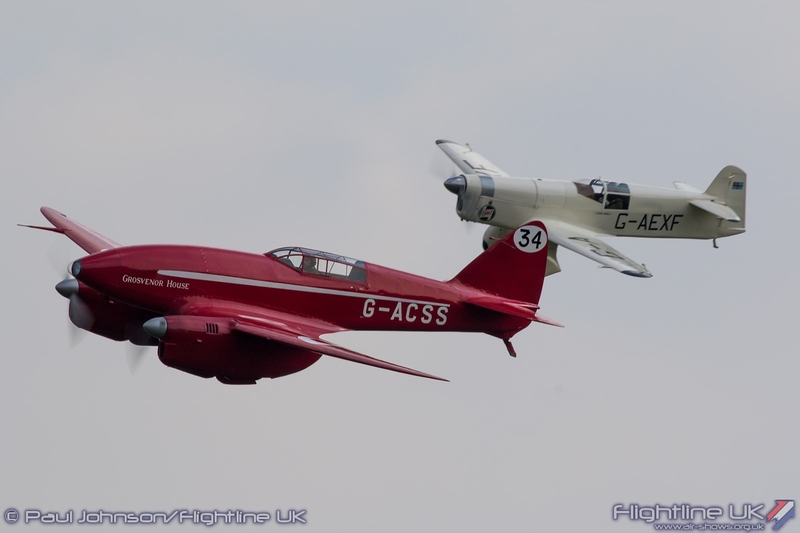 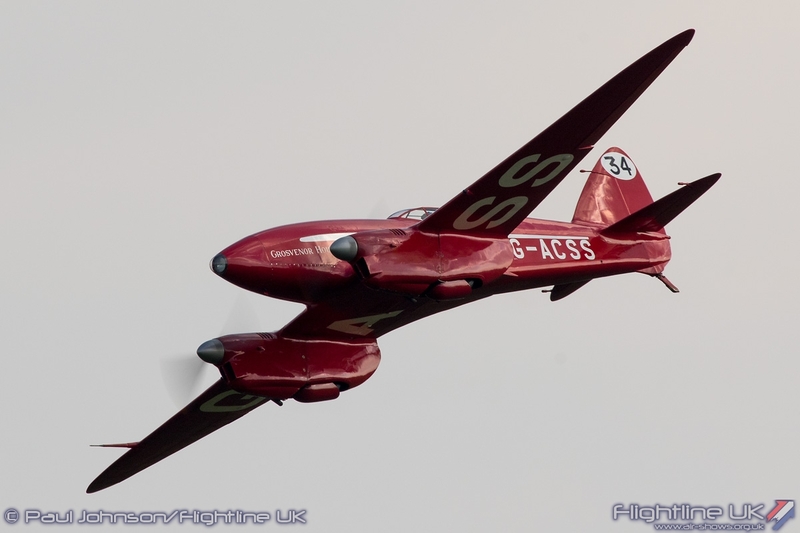 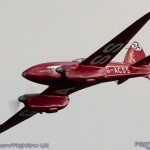 The 1930’s theme was continued by the stunning de Havilland DH88 Comet flying alongside the Percival Mew Gull in which famed text pilot Alex Henshaw set the Cape Record. 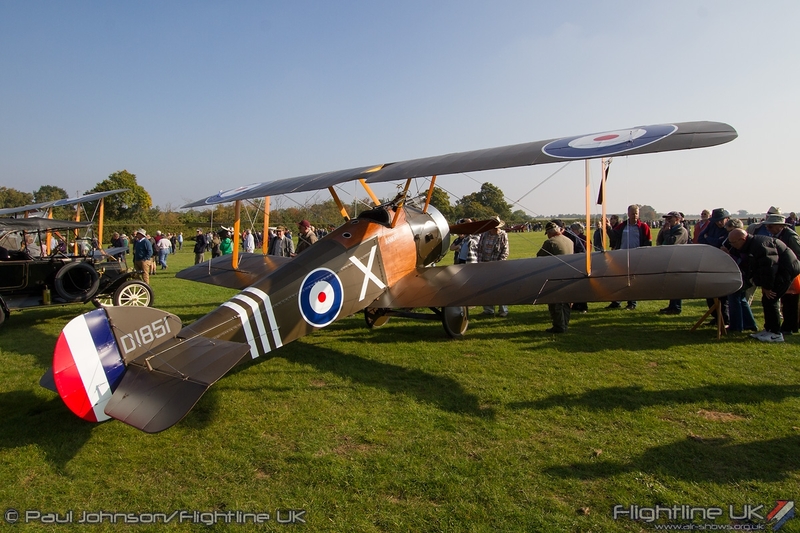 The Shuttleworth Collection is not just about the powerful and glamourous, it is also home to many of the often overlooked civilian types including a number of aircraft that took part in the Lympne Trails in the 1920’s that spearheaded the development of cheaper civilian aviation. 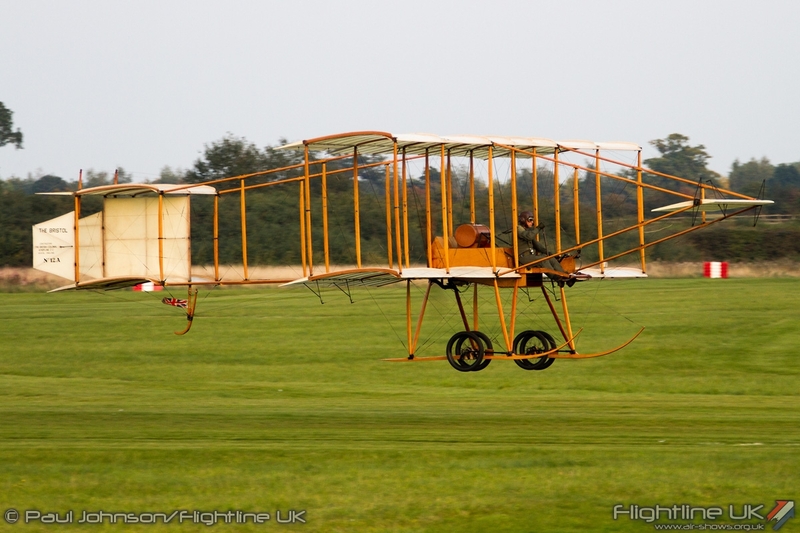 This was marked in the ‘Uncovered’ display by the Collection’s slightly unwieldy ANEC flying with a pair of Hawker Cygnets which were competitors during the trials. 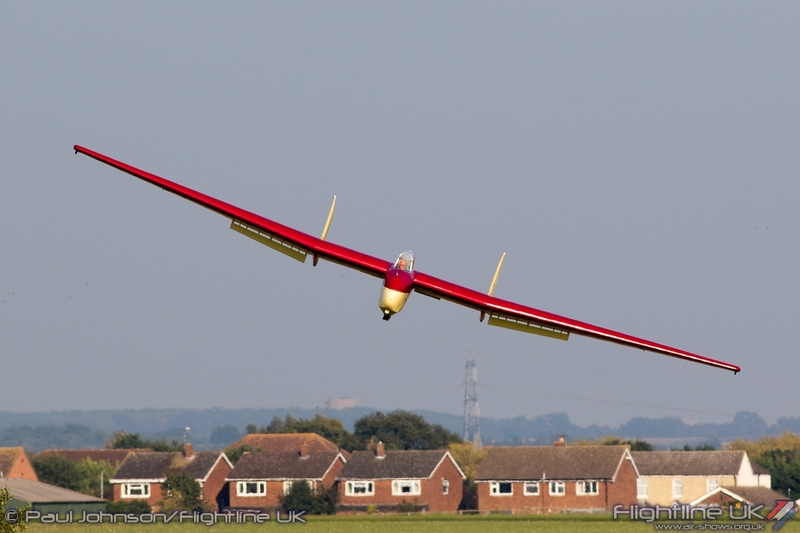 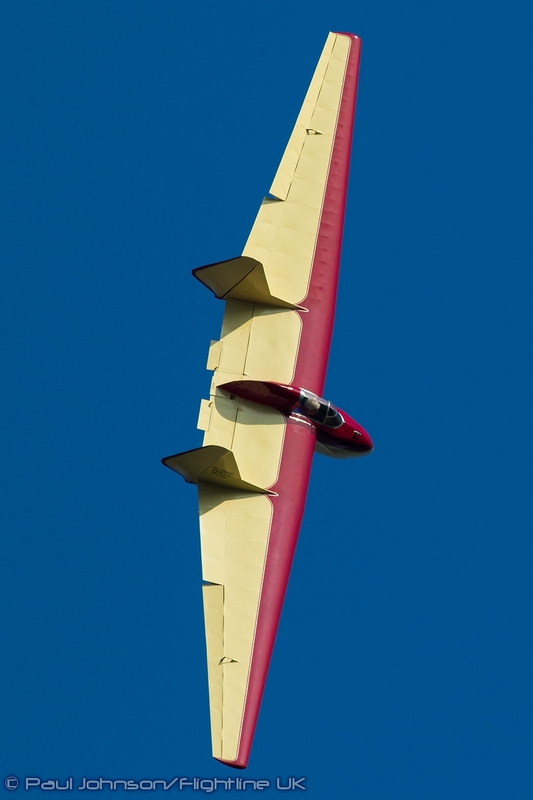 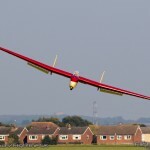 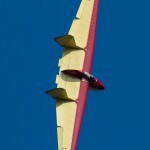 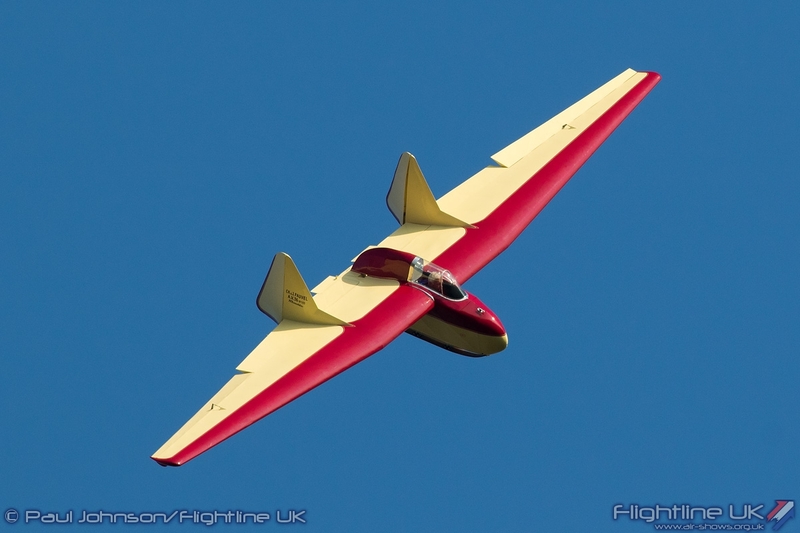 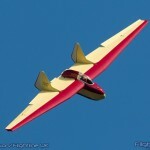 Vintage gliders have become an important pair of any Old Warden flying display and ‘Uncovered’ was no different with Graham Saw giving an aerobatic demonstration of the unique AW59 Fauvel flying-wing glider. 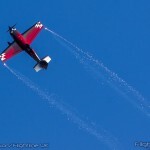 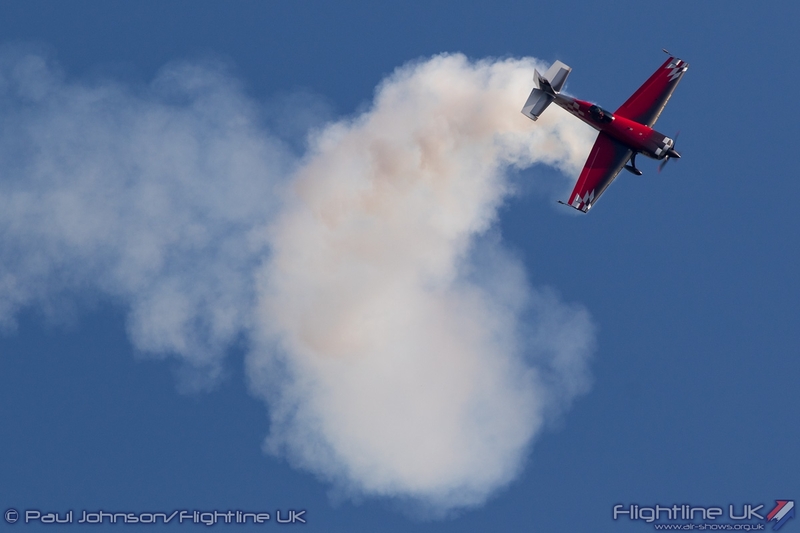 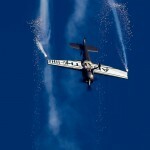 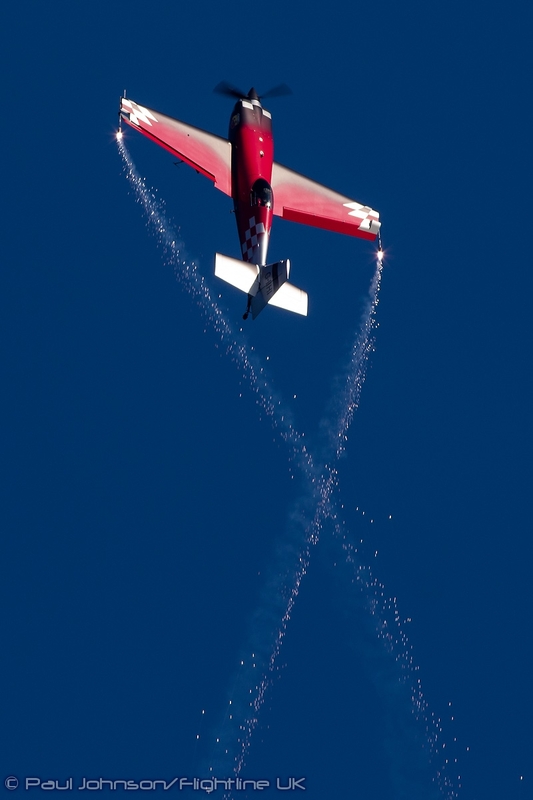 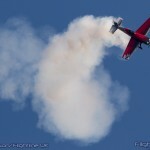 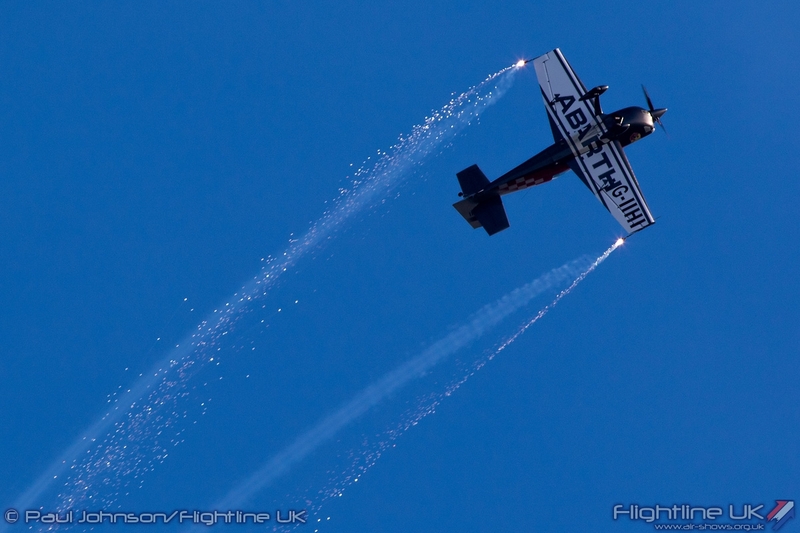 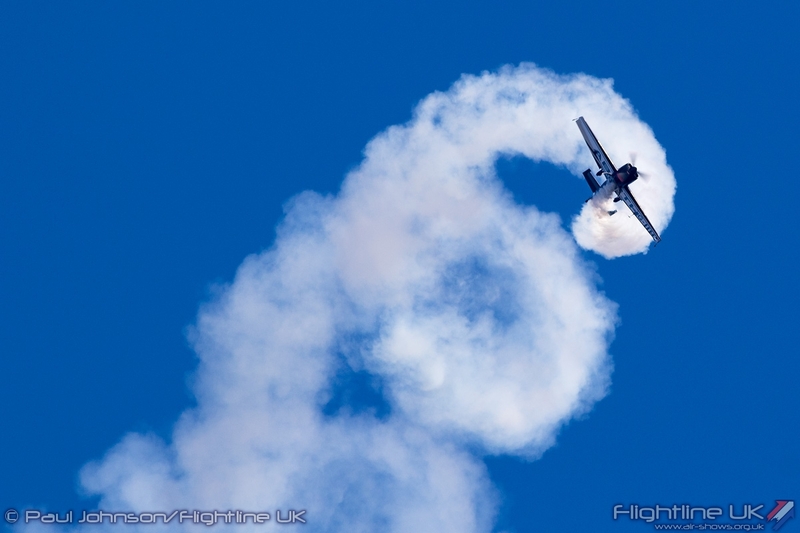 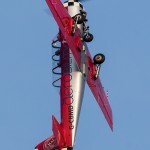 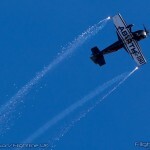 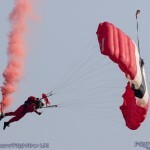 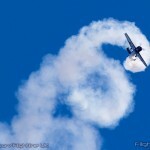 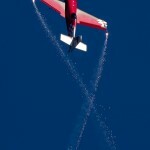 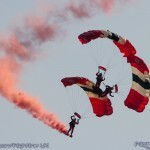 The afternoon saw a couple of very different visiting aerobatic acts. 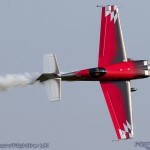 First of these was Mark Jefferies in his Extra 330SC. 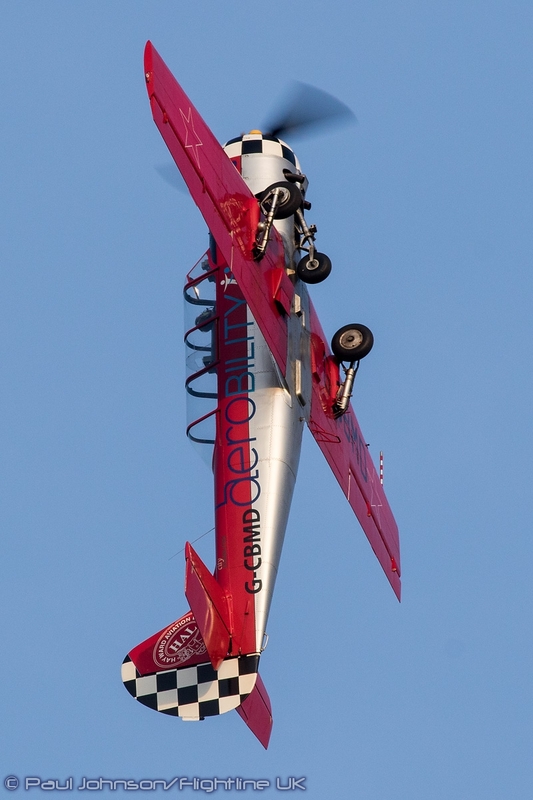 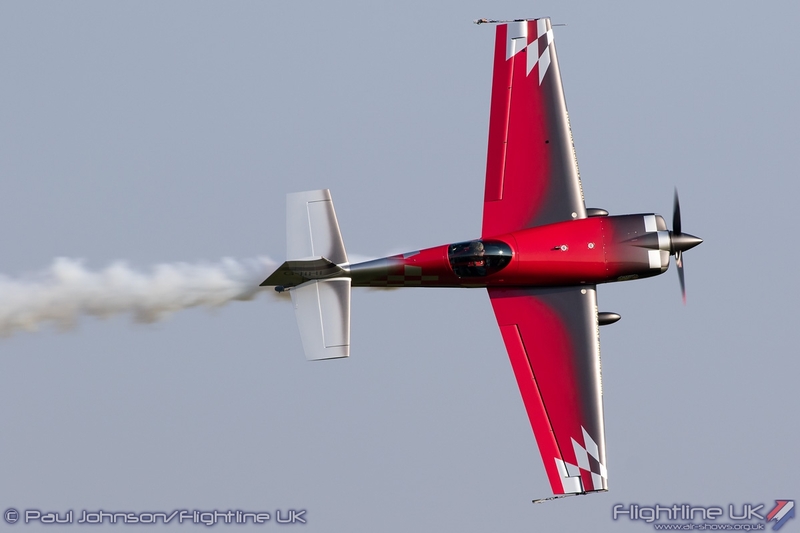 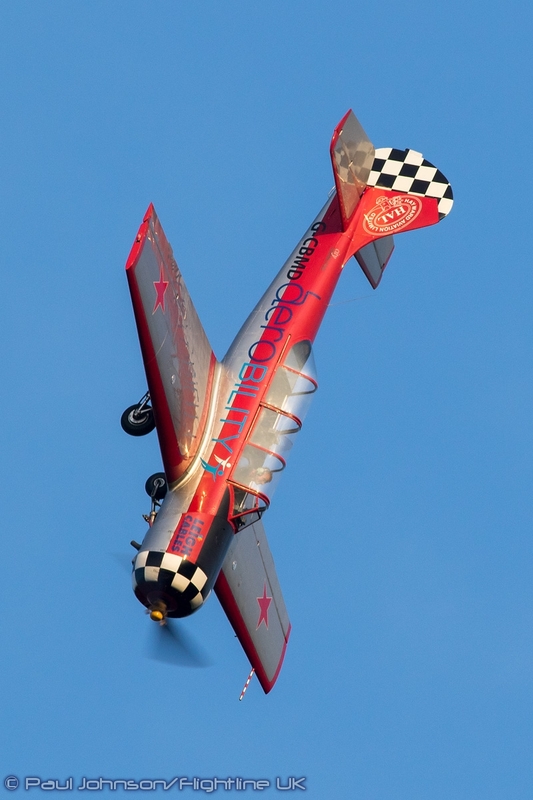 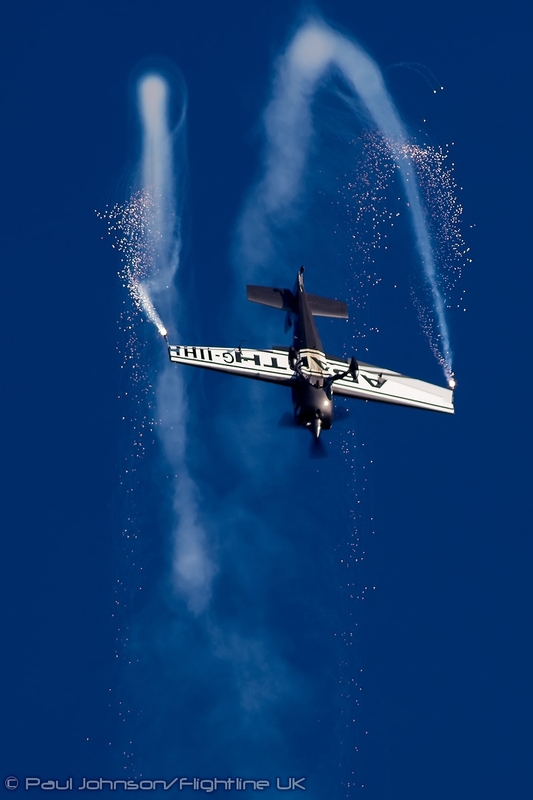 The 330SC is one of the most potent competition aerobatic aircraft ever built and Mark always puts on a compelling display of gyroscopic aerobatic figures. 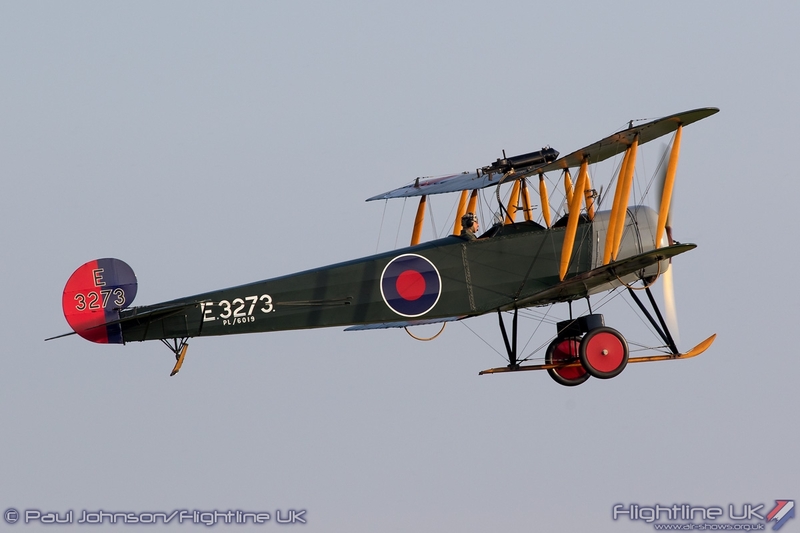 He has also modified the aircraft to fire wingtip pyrotechnics for twilight displays. 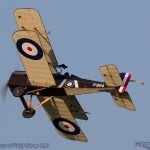 Towards the end of his display at Old Warden he gave a demonstration of the pyros. 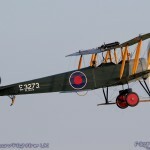 While it was perhaps a couple of hours two early to get a full effect this time, it was good to see something different and hopefully something for one of Old Warden’s evening air displays next year. 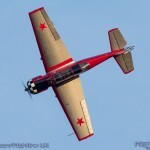 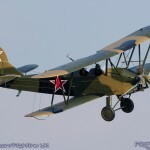 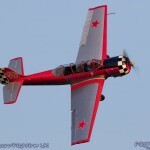 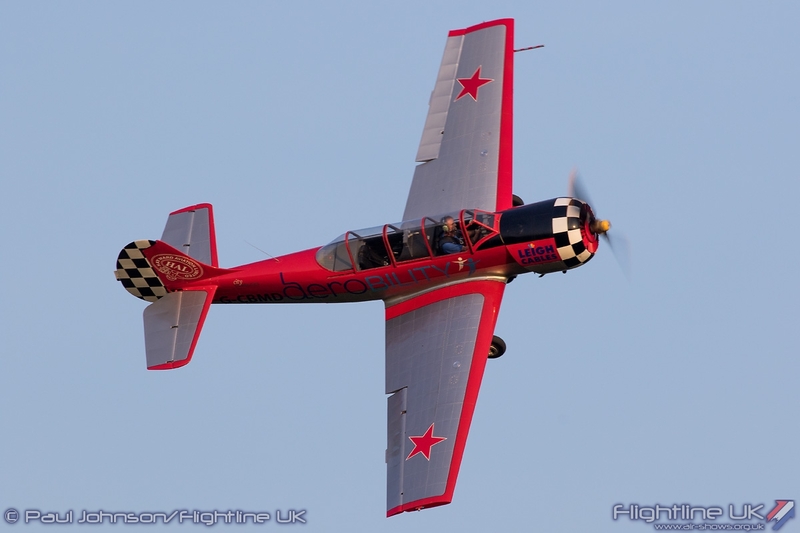 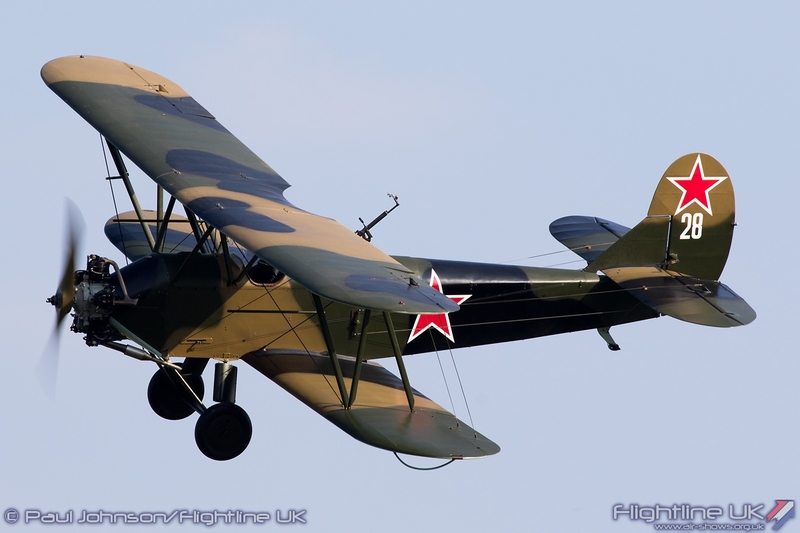 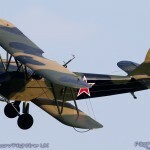 Guy Westgate flew the Aerobility Yakovlev Yak-52 towards the end of the day. 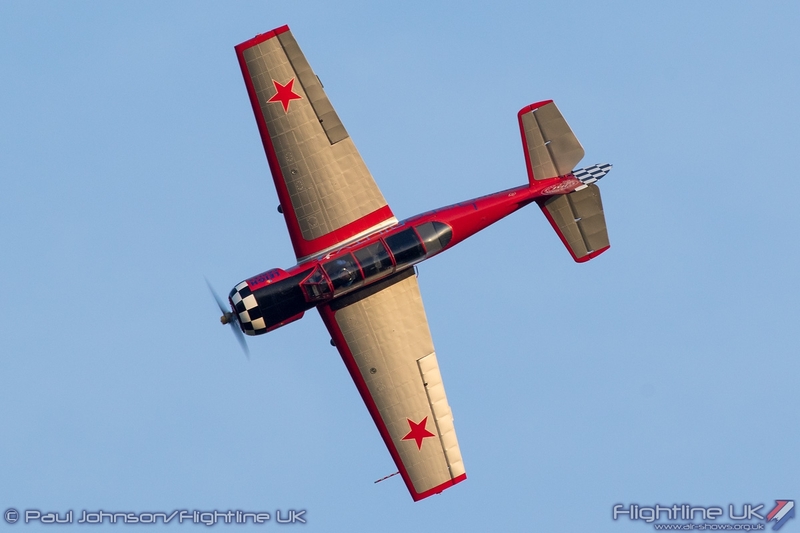 The two seat Russian advanced trainer has great presence and Guy kept his display as close as possible to crowd highlighting its great power and agility. 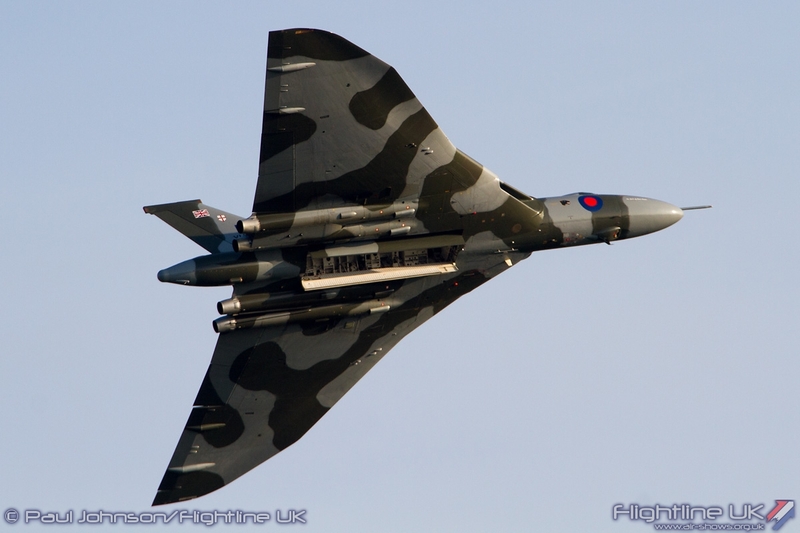 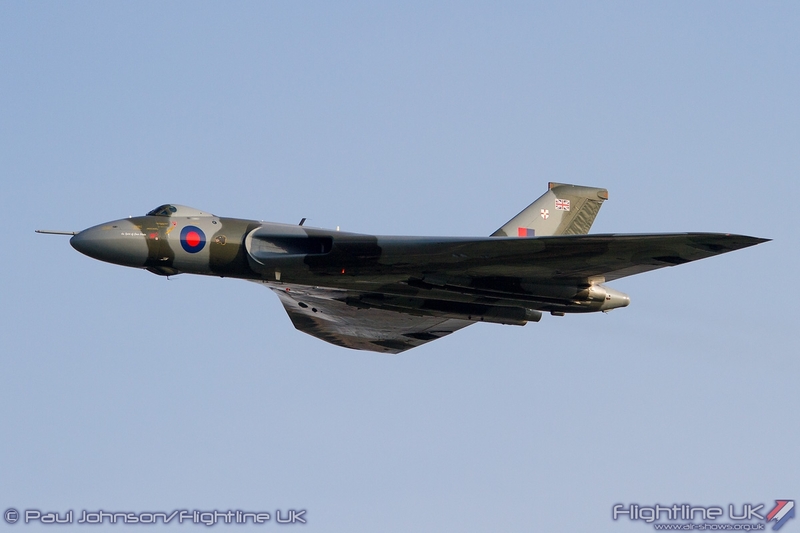 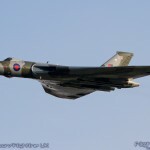 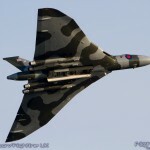 The major event of the afternoon however was the final public display of the Avro Vulcan B2 XH558. 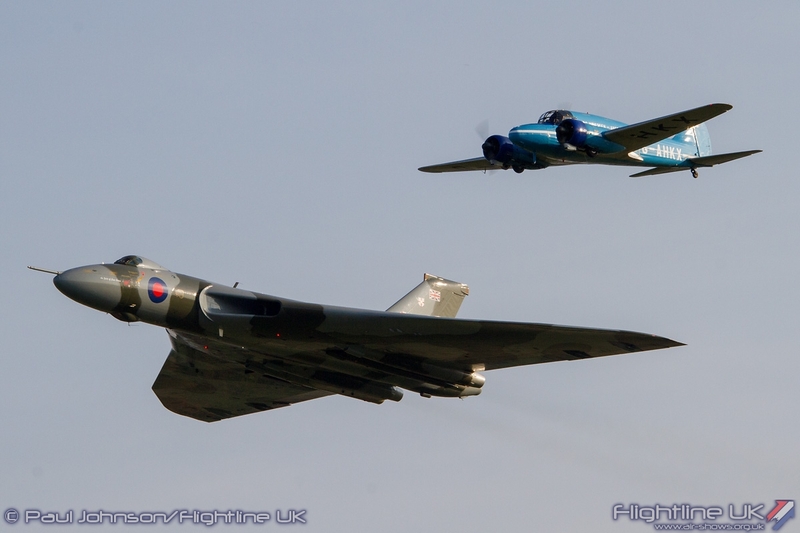 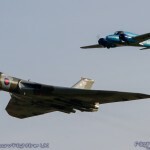 It may have been a sad occasion, but it was marked in some style with yet another unique opening formation which saw the Vulcan fly alongside BAE Systems’ Avro C19 Anson marking the great history of Avro. 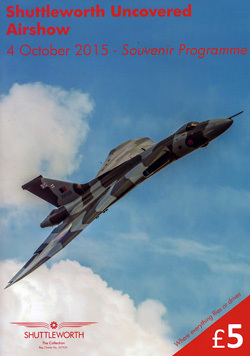 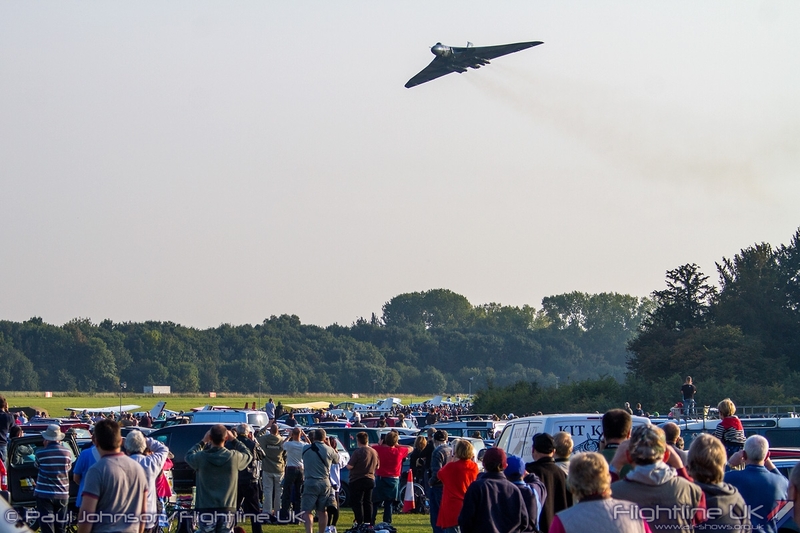 With narration from the Vulcan’s chief pilot Martin Withers, the solo display be the Vulcan which followed saw almost complete silence from the crowd as the aircraft flew around the parkland surrounding the aerodrome – a truly significant moment of the 2015 display season. 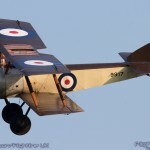 Another major highlight came from the World War Once section of flying. 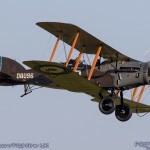 The Collection’s Avro 504K, RAF SE5a, Sopwith Pup, Bristol M1C and Bristol F2B Fighter were joined by David and Rick Bremner’s stunning Bristol Scout reproduction which made its flying display debut. 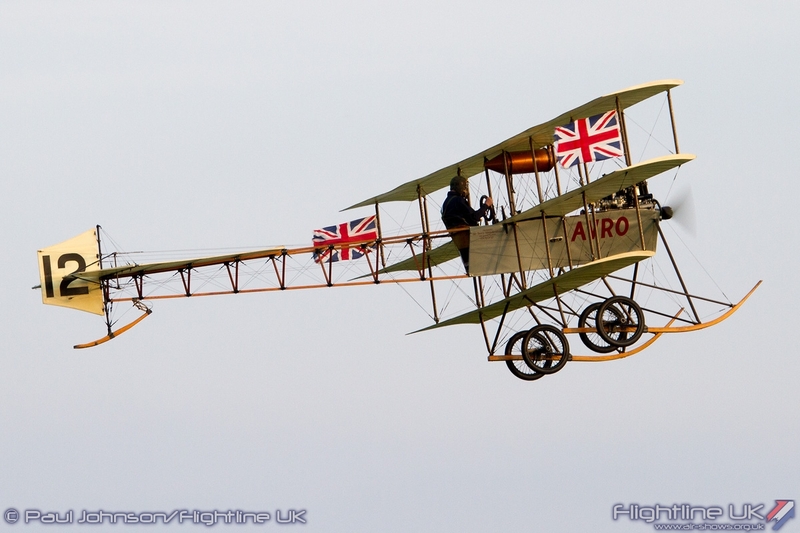 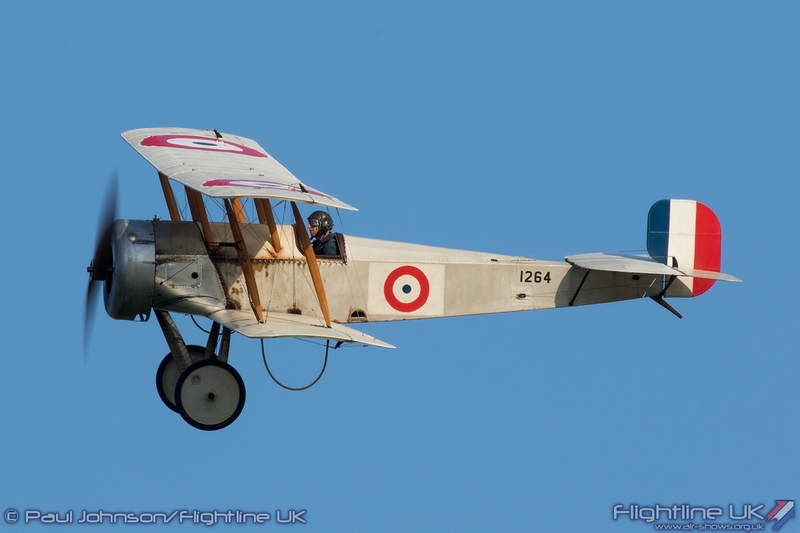 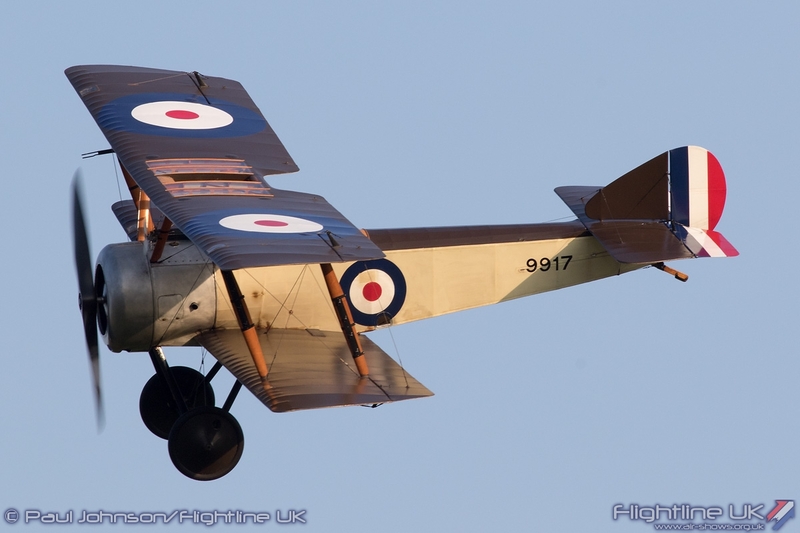 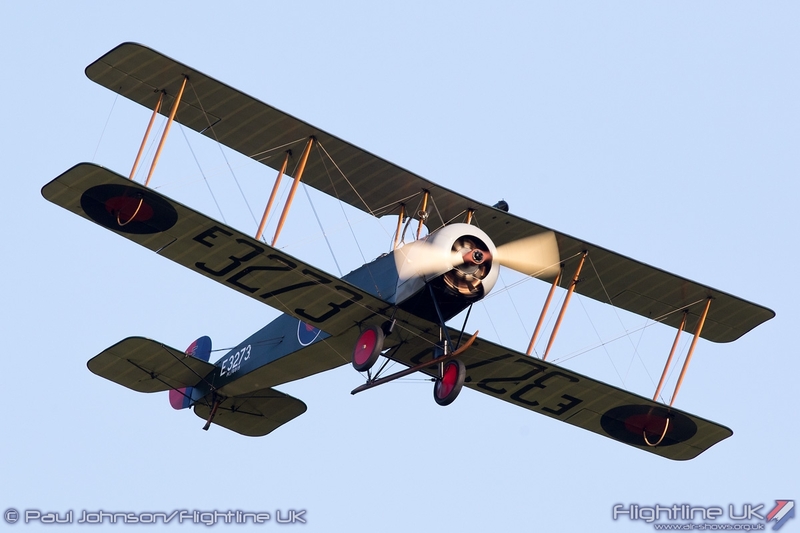 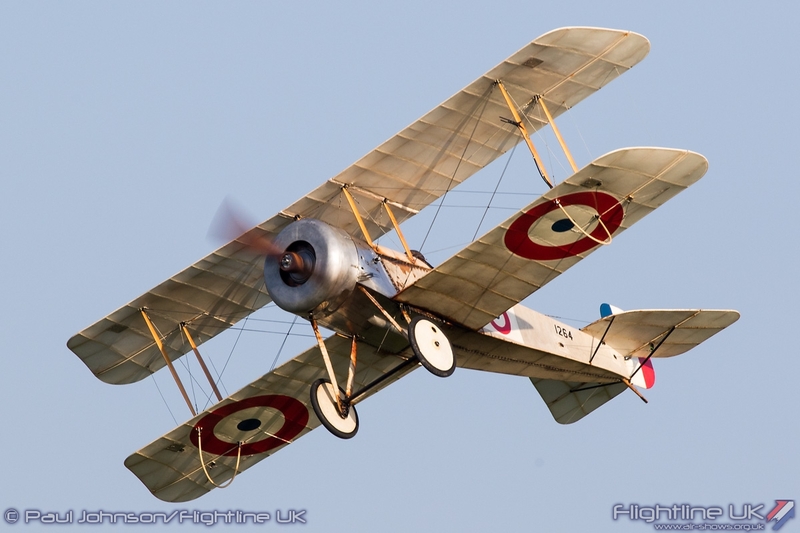 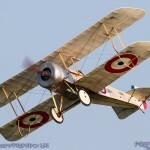 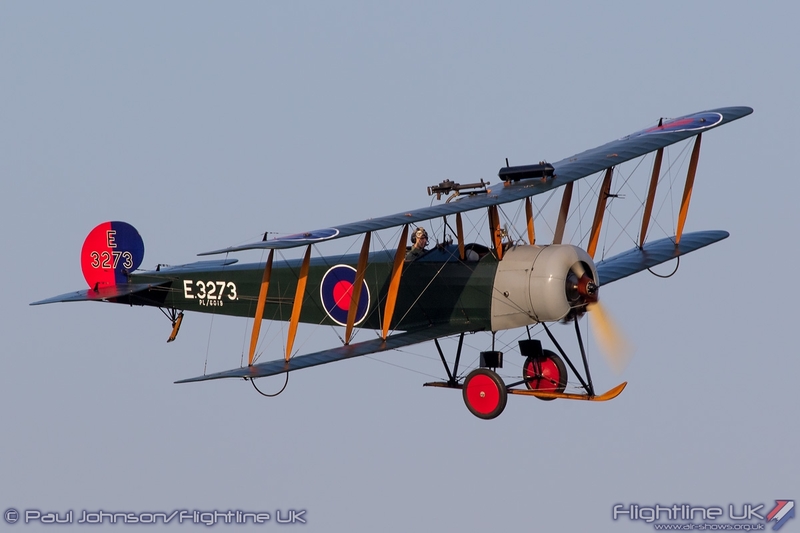 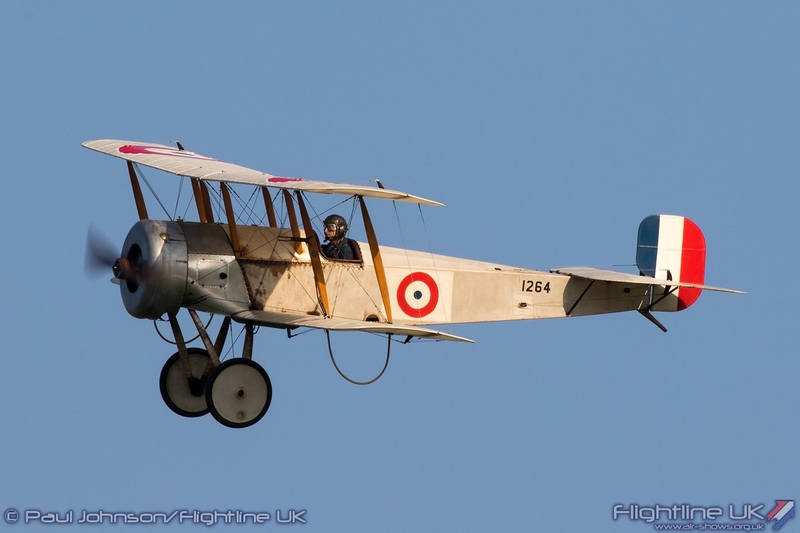 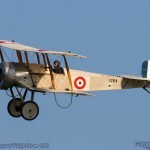 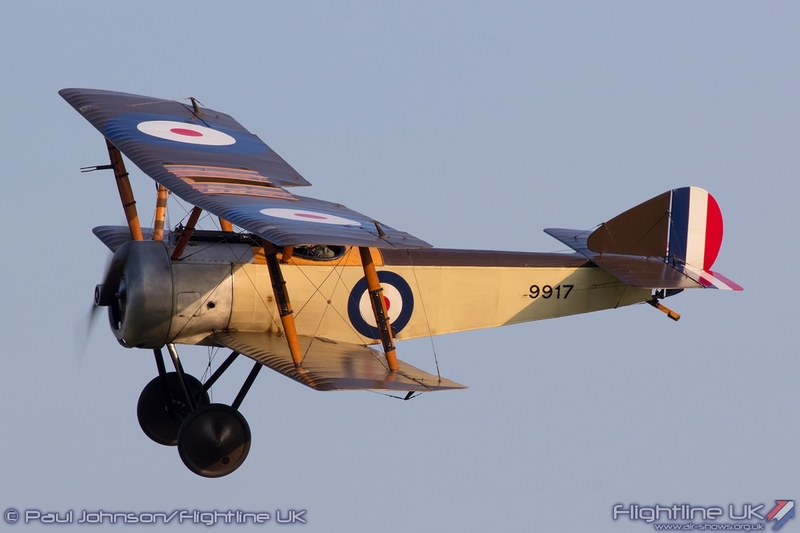 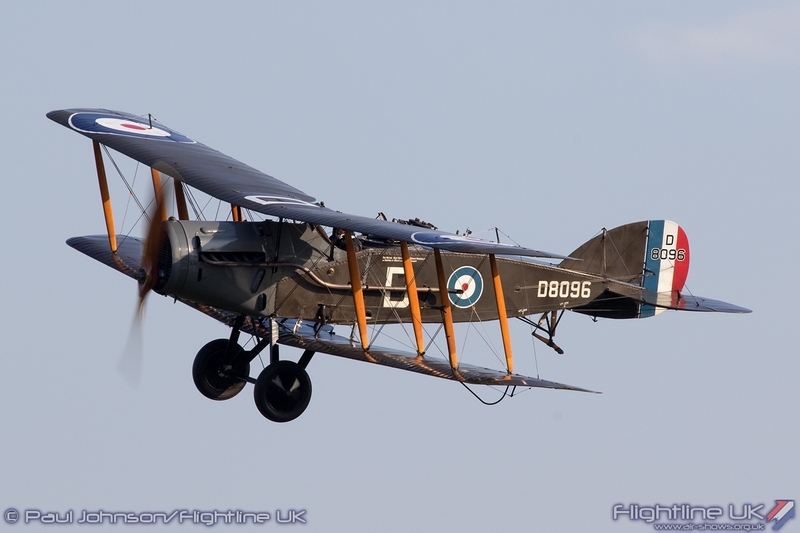 The Bristol Scout is a significant aircraft in the history of UK Military aviation emerging in 1913. 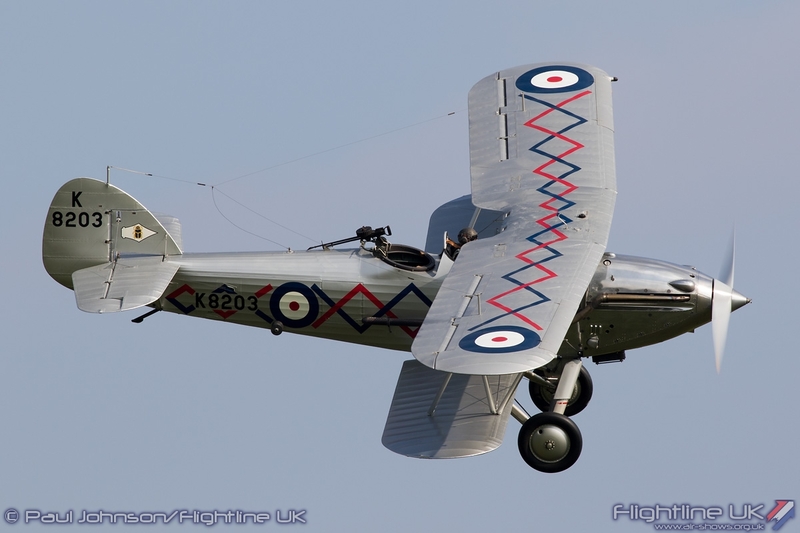 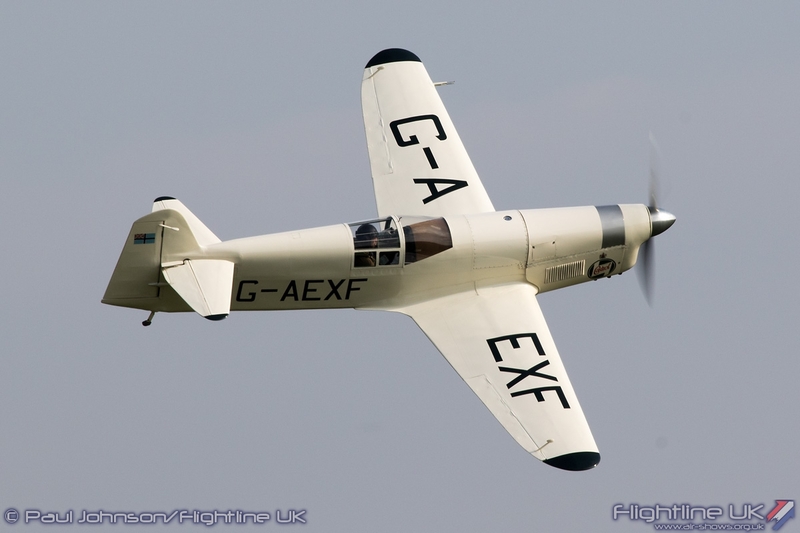 As its name suggests it was initially used as an unarmed single seat scouting aircraft. 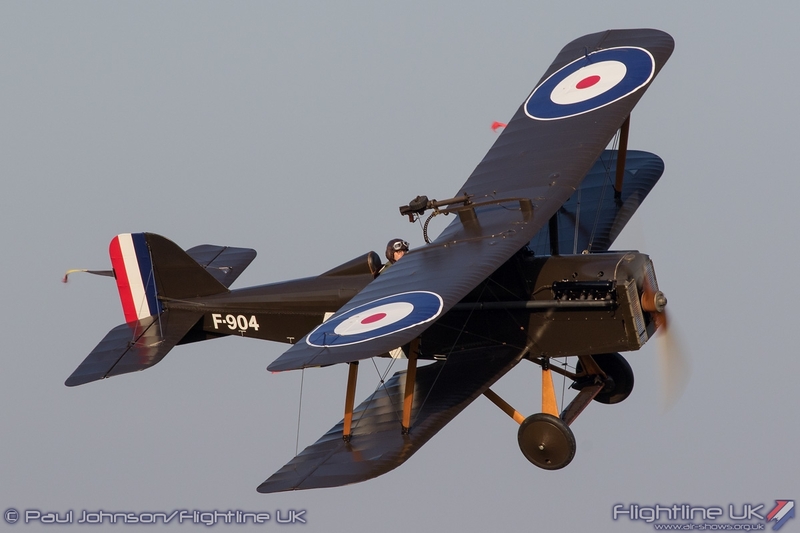 It was the fastest allied aircraft at the beginning of the war and its pilots soon realised if armed it could provide some defence against German aircraft and some Royal Navy Air Service examples were armed with a single Lewis gun flying through the propeller. 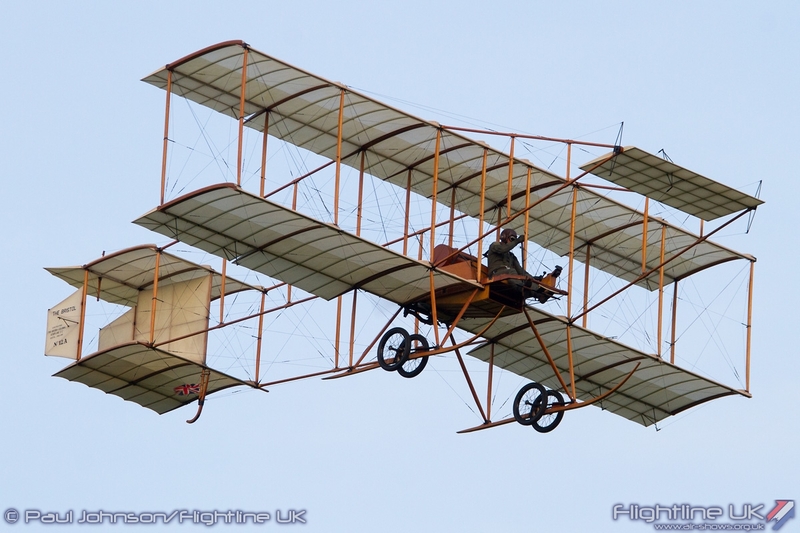 The Bremners built the replica in salute to their Grandfather, Flt Sub Lt. F D H ‘Bunnie’ Bremner of the RNAS. 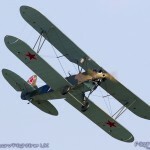 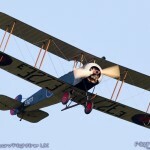 He flew with No 2 Wing RNAS between 1915 and 1916 in the Eastern Mediterranean before he was invalided home by disease. 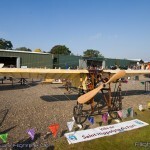 He brought back momentos with him including the stick, rudder bar and magneto from his aircraft, No 1264. 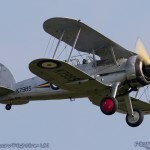 The reproduction is incredibly faithful to how No 1264 would have looked in service even including the overpainted pre-war national markings. 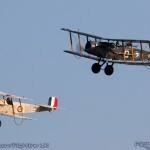 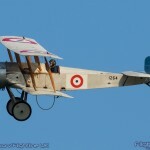 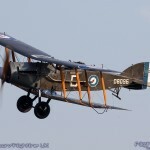 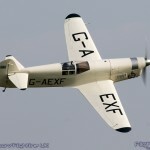 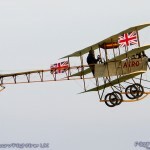 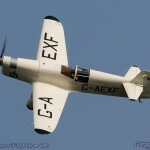 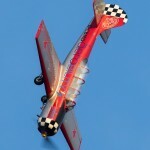 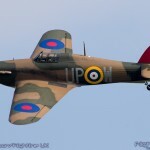 Test flying was carried out by Shuttleworth chief pilot Dodge Bailey who displayed the aircraft at the show. 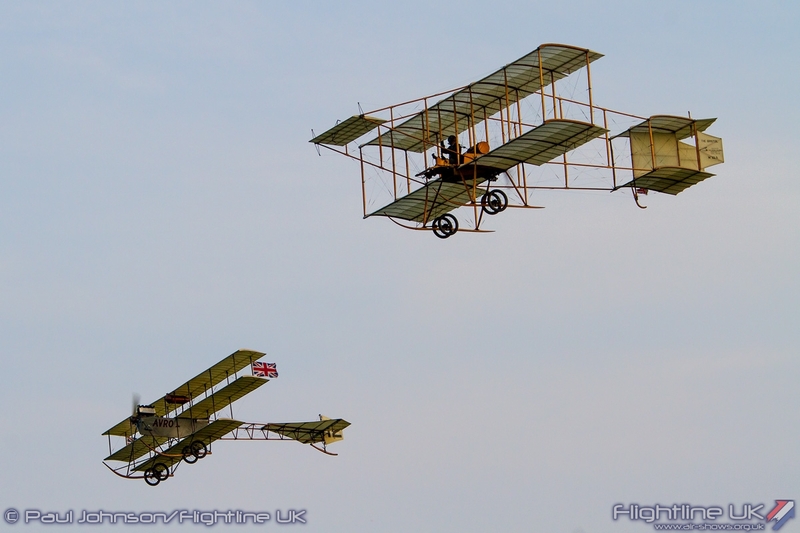 The final set piece of the afternoon saw a rare 2015 appearance by the ‘Edwardians’ that make Old Warden such a magical place. 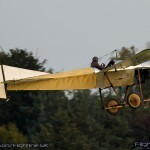 In the dying evening light the Deperdussin made some hops up and down the runway while the Avro Triplane, Bristol Boxkite and Blackburn Type-D Monoplane gave the final flying demonstration of the afternoon and indeed the year at Old Warden. 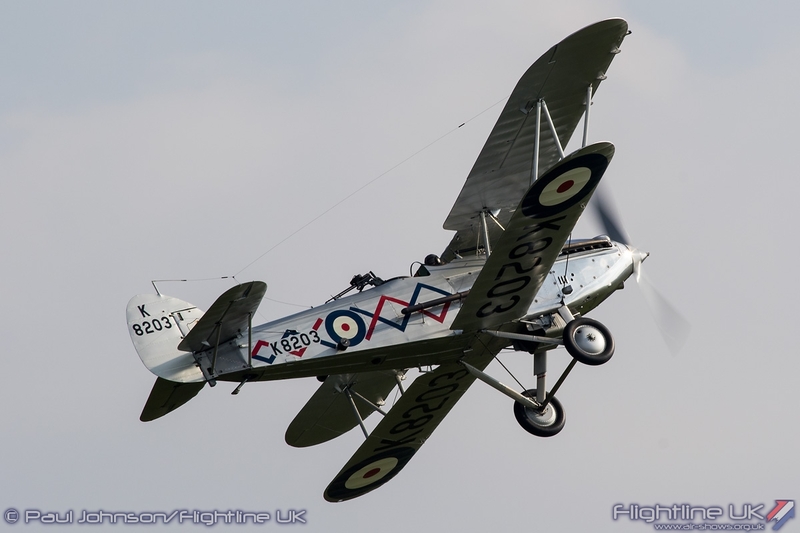 This was one of the very best airshows of the year at Old Warden and undoubtedly a highlight of the whole 2015 Airshow season with so many significant moments throughout the day. 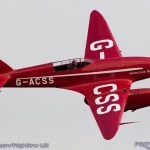 There are few finer places for flying displays, and even with a capacity crowd Old Warden was just as special as it always has been. 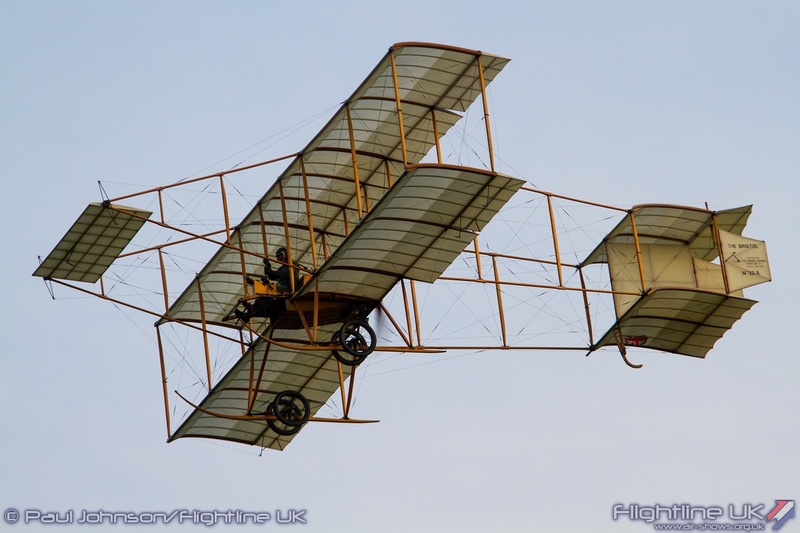 Here’s to 2016.